Midwest Magic is a site for Magic: the Gathering Players in Central Illinois. It is a place to find out what tournaments are going on and when and where they will be. If you need help, visit Ask the Webmaster to get any questions you may have answered, or just start a thread of discussion you'd like to talk about. Also, if their are any Tournament Formats you are unfamiliar with, or just need a refresher stop on by Tournament Info to read up on the formats. This site is a work in progress with new things being added often, if you don't find it here now, maybe it'll be here in a week! 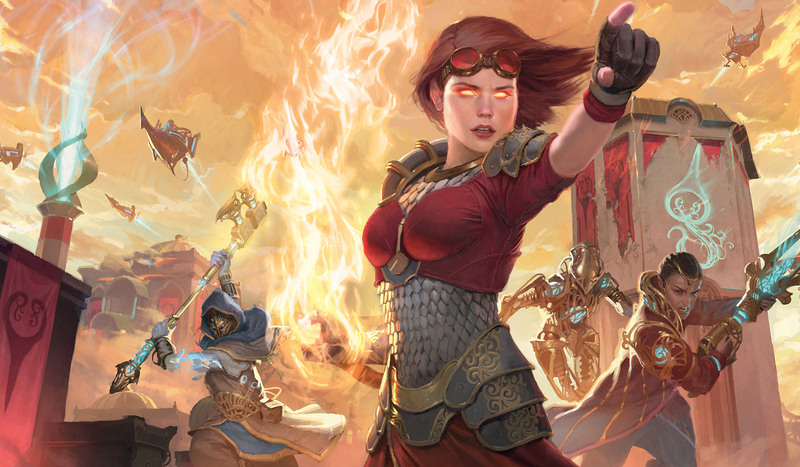 The first Prerelease for War of the Spark is Saturday 4-27 at 1:00 PM at the Hobby Horse in Taylorville and the 2nd Prerelease is Sunday 4-28 at 1:30 PM and both of these events are $30 entry fees. 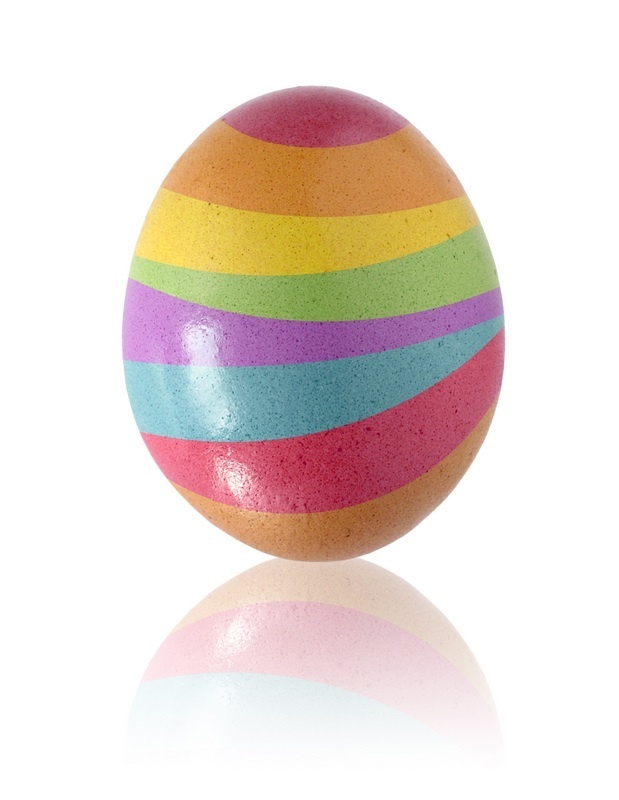 There is a 5/5/5 grab bag Easter Draft this Saturday 4-20-19 at the Hobby Horse in Taylorville. Start time is 1:00 PM and entry fee is $20. First place can win a Gaea's Cradle and there will be other awesome prizes as well!! There is a 2 grab bag/1 random booster pack draft this Saturday 4-13-19 at the Hobby Horse in Taylorville. Start time is 1:00 PM and entry fee is $15. 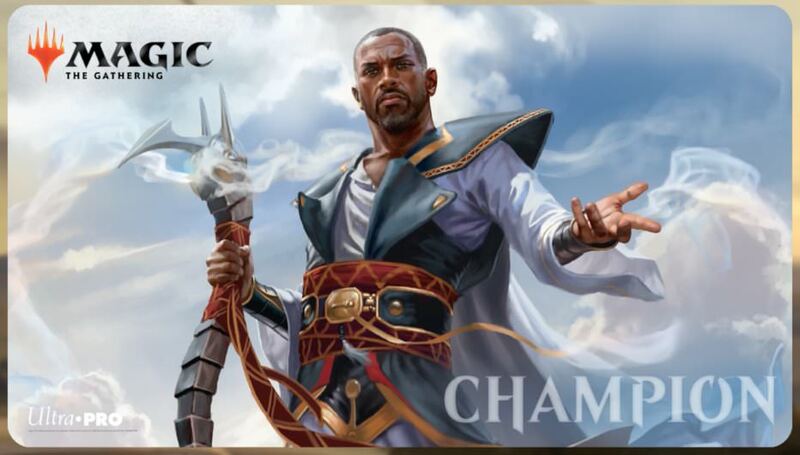 First place can win a Jace the Mindsculptor if we get enough players!!! There is a Standard tournament this Saturday 4-6 at the Hobby Horse in Taylorville. Start time is 1:00 PM and entry fee is $10. First place will win some cool Standard legal cards!! 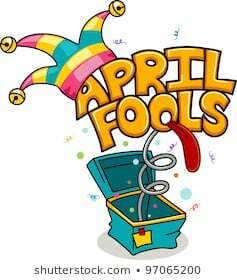 There is a April Fools draft this Saturday 3-30-19 at the Hobby Horse in Taylorville! Start time is 1:00 PM and entry fee is $20. 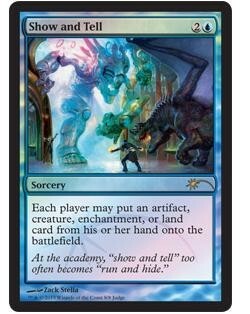 First place can win a "piece of Power" and other fun cards! This Saturday there is a Legacy tournament at the Hobby Horse in Taylorville. Start time is 1:00 PM and entry fee is $25. 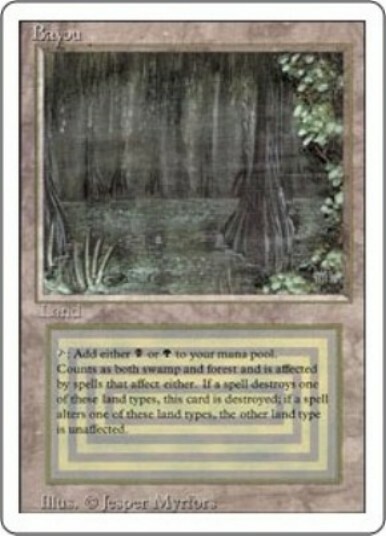 First place wins a Dual Land as does 2nd place!! There is a Modern tournament this Saturday 3-16-19 at the Hobby Horse in Taylorville. Start time is 1:00 PM and entry fee is $20. 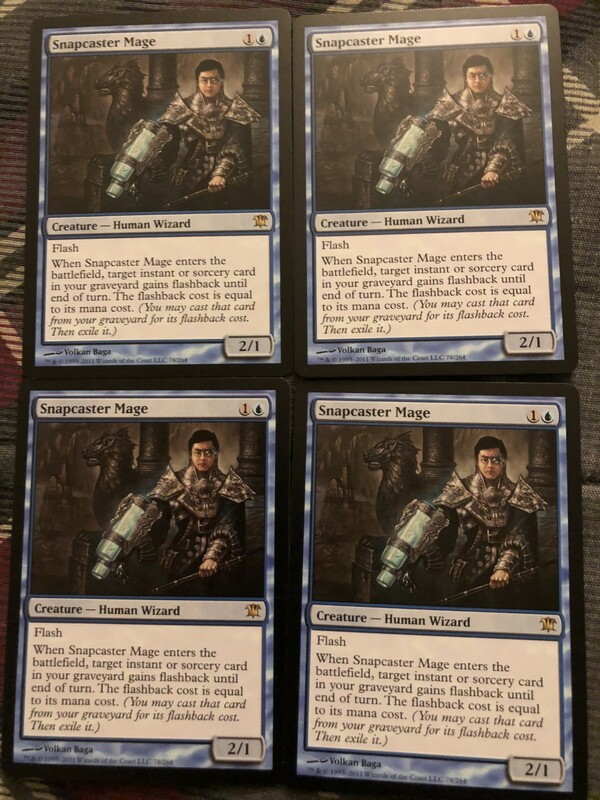 First place can win a playset of Snapcaster Mage!! This Saturday at the Hobby Horse in Taylorville there is a draft at 1:00 PM start time. The format is 2 grab bags and 1 all rare grab bag. The entry fee is $15. There is a random pack and 2 grab bag draft this Saturday at The Hobby Horse in Taylorville. Start time is 1:00 PM and entry fee is $15. First place will win a Ultimate Masters sealed Box Topper!!! 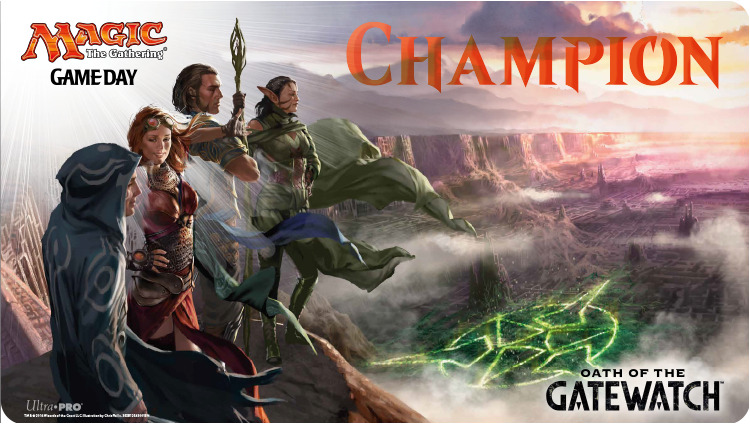 The Ravnica Weekend Store Championship is this Saturday 2-16-19 at 1:00 PM. The format is a 4 pack draft of Ravnica Allegiance with a $20 entry fee. 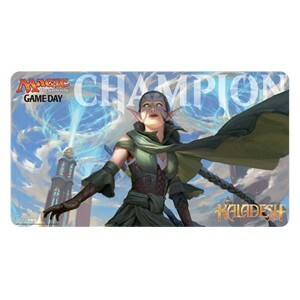 1st place can win the Champion playmat! 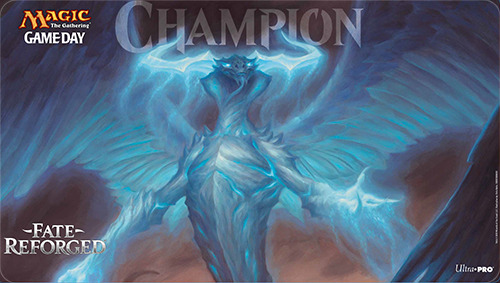 The Ravnica Weekend Store Championship is Saturday 2-16-19 at the Hobby Horse in Taylorville. The format is draft, 3 packs of Ravnica Allegiance. The start time is 1:00 PM and entry fee is $15. Everyone is invited to Martin's Birthday draft on Saturday 2-9-19 at 1:00 PM start time! Entry fee is $25. The format is two all rare grab bags and one regular grab bag! First place will win a Underground Sea and 2nd-8th place will win fun prizes! Also everyone who plays will get a present just for playing!!!! There is a Legacy tournament this Saturday 2-2-19 at 1:00 PM start time and a $25 entry fee! 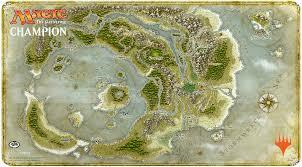 1st place wins a dual land either Volcanic Island or Underground Sea and 2nd place wins a City of Traitors guaranteed!!! 3rd and 4th will win dual lands like Plateau or Savannah or better depending on the number of players!!! 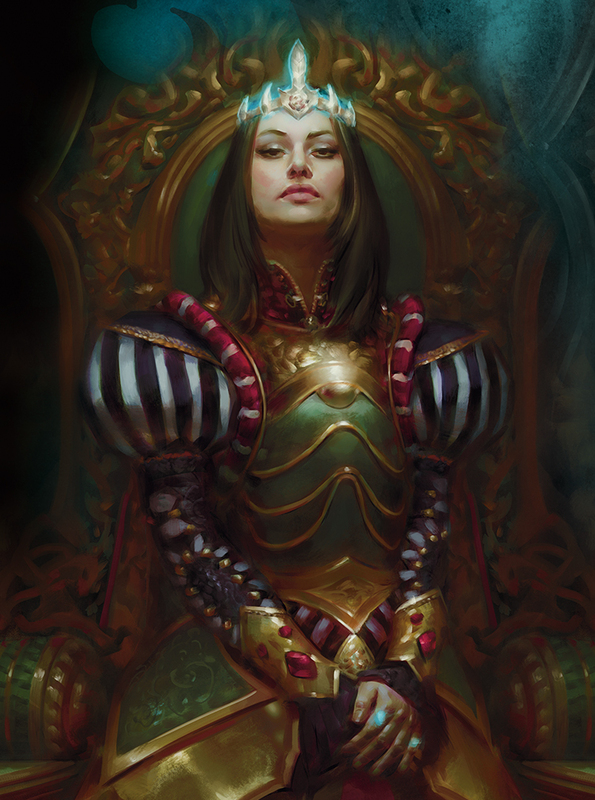 There is a draft of 3 packs of Ravnica Allegiance this Saturday 1-26-19 at the Hobby Horse in Taylorville. Start time is 1:00 PM and entry fee is $15. 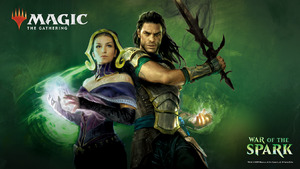 The first Prerelease for Ravnica Allegiance is this Saturday 1-19-19 at 1:00 PM start time and a $25 entry fee. The second Prerelease is this Sunday 1-20-19 at 1:30 PM and also a $25 entry fee. These events are for the Hobby Horse in Taylorville. 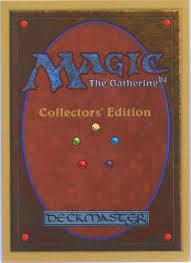 There is a 2 grab bag/ 1 Ultimate Masters draft this Saturday 1-12-19 at 1:00 PM start time and a $20 entry fee. There is a draft this Saturday 1-5-19 at 1:00 PM and a $20 entry fee. Format is 1 Ultimate Masters and 2 grab bags. There is a Pre New Years grab bag draft this Saturday 12-29-18 at the Hobby Horse in Taylorville. Start time is 1:00 PM and entry fee is $15. Format is 3 random grab bags with a theme that we had this year such as all Mythics, all rares, 5/5/5, regular grab bags, mono green, Trick or Treat, etc! Our Christmas Draft is this Saturday 12-22-18 at the Hobby Horse in Taylorville. The start time is 1:00 PM and a $20 entry fee. 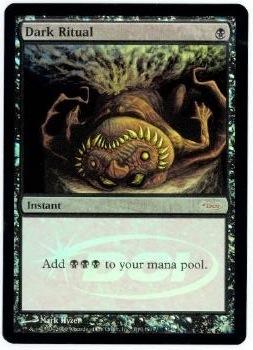 The format is a 5/5/5 grab bag draft and 1st place can win a Underground Sea!! This Saturday 12-15-18 there is a draft for 1 Ultimate Masters pack, 1 Regular random booster pack, and 1 grab bag. Entry fee is just $20. Start time is 1:00 PM. First place gets a box topper from Ultimate Masters and 2nd gets a couple of packs. There is a Ultimate Masters draft this Saturday 12-8-18 at the Hobby Horse in Taylorville. Start time is 1:00 PM and entry fee is $50. First place will win a dual land and a random box topper!!! The all rare draft is this Saturday 12-1-18 at the Hobby Horse in Taylorville. Entry fee is $50 for this event. The start time is NOON!! 1st place wins a Power Nine card guaranteed! There is a Turkey grab bag draft this Saturday 11-24-18 at the Hobby Horse in Taylorville. Start time is 1:00 PM with a $15 entry fee. First place can win a Bayou!!!! Also hunt the Turkey card in the grab bags for a special prize! There is a random pack draft/2 grab bag draft this Saturday 11-17-18 at 1:00 PM and a $12 entry fee. This Saturday 11-10-18 we are having a Tier Draft at 1:00 PM start time and a $15 entry fee. There is a Standard tournament this Saturday 11-3-18 at the Hobby Horse in Taylorville. The start time is 1:00 PM and entry fee is $10. First place can win a foil card and a Bundle from Guilds of Ravnica if we get enough players. 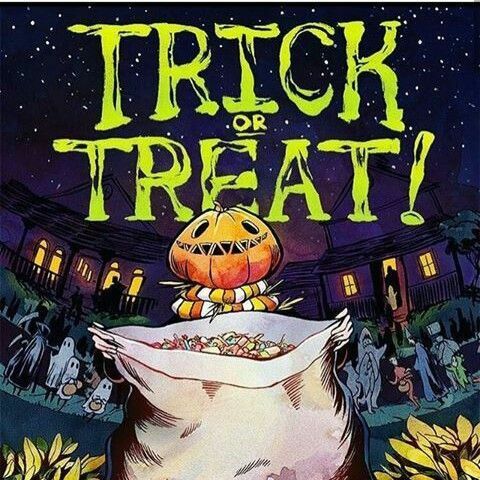 The annual Trick or Treat event is this Saturday 10-27-18 at Noon start time! The entry fee is $30. 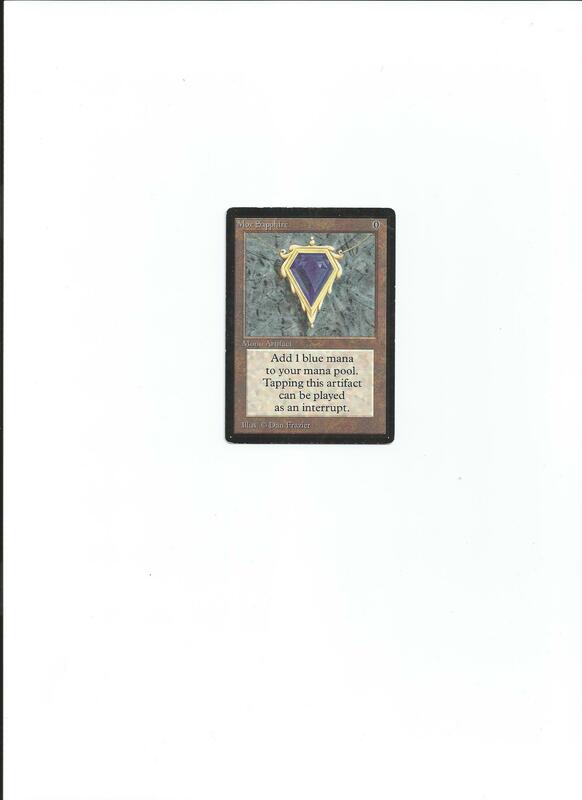 First place is a Power Nine card! Other great prizes for top 8 as well!!! Our Pre-Halloween heavy black draft is this Saturday 10-20-18 at 1:00 PM start time and a $15 entry fee. Lots of cool black cards for top 8 prizes and if we get enough players 1st place could be a Underground Sea! There is a Legacy tournament this Saturday 10-13-18 at the Hobby Horse in Taylorville. Start time is 1:00 PM and entry fee is $25. First place can win a Revised Underground Sea if we get enough players!! There is a Guilds of Ravnica draft on Saturday 10-6-18 at the Hobby Horse in Taylorville. Entry fee is $15 and the start time is 1:00PM. 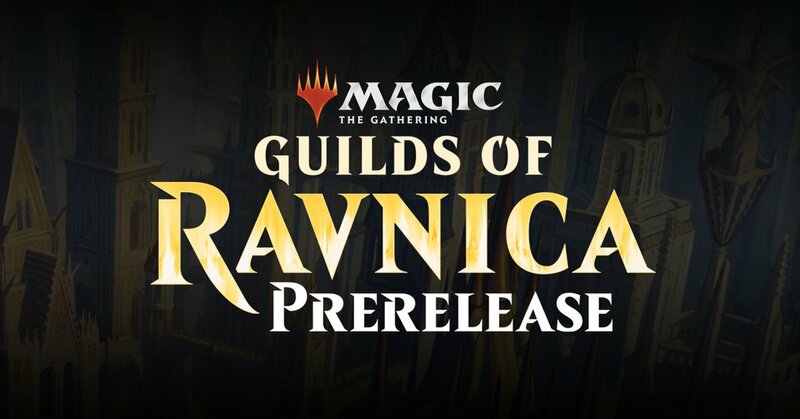 The Guilds of Ravnica Prereleases are this Saturday and Sunday at the Hobby Horse in Taylorville. The Start time Saturday 9-29 is 1:00 PM and a $25 entry fee. Sunday it starts at 1:30 PM and also has a $25 entry fee. There is a random pack/2 grab bag draft this Saturday 9-22-18 at 1:00 PM and a $12 entry fee. The Standard store Championship is this Saturday 9-15-18 at 1:00 PM start time and a $5 entry fee. There is a 2 grab bag and 1 random booster pack draft this Saturday 9-8-18 at 1:00 PM start time and a $12 entry fee. There is a draft this Saturday 9-1-18 at 1:00 PM start time and a $10 entry fee. The format is 2 random Standard legal boosters and 1 grab bag with only Standard cards in it. First place wins a foil Karn from Dominaria! There is a all rare draft this Saturday 8-25-18 at the Hobby Horse in Taylorville. Start time is Noon and entry fee is $40. Super packs will be in play and 1st place wins a Power Nine card!! There is a Legacy tournament this Saturday 8-18-18 at the Hobby Horse in Taylorville. Start time is 1:00 PM and entry fee is $25. 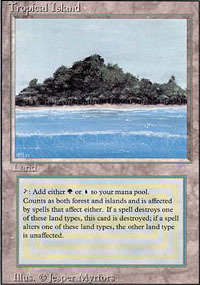 Prizes include dual lands and hopefully Volcanic Island for 1st place if we get enough players! There is a random pack/2 grab bag draft this Saturday 8-11-18 at 1:00 PM start time and a $12 entry fee. This Saturday there is a grab bag draft in Taylorville at the Hobby Horse. 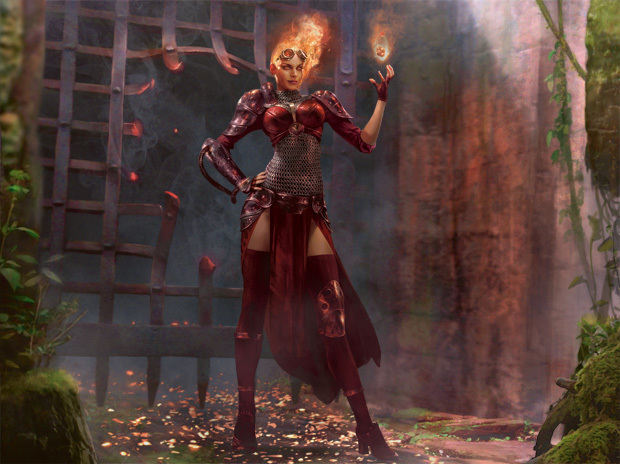 The format is Red Hot Summer draft and that means more red and more burn cards than normal! Start time is 1:00 PM and entry fee is $12. 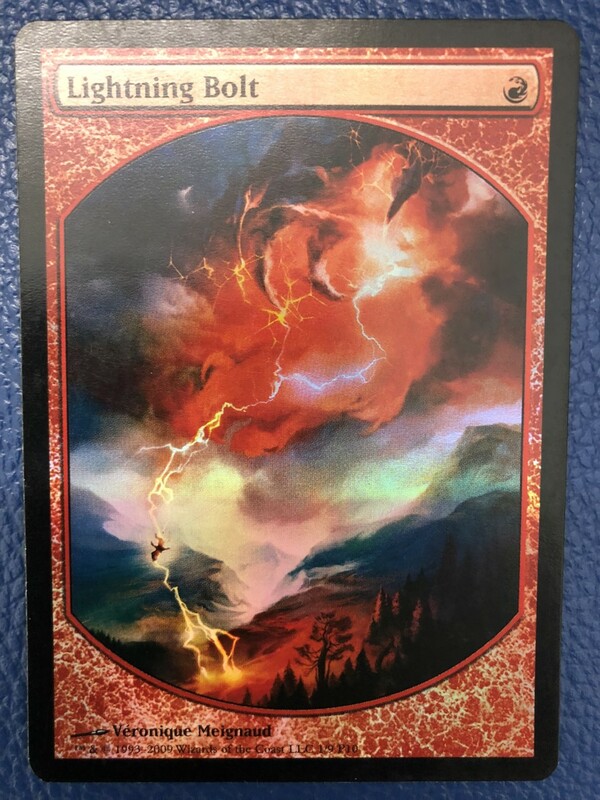 First place is 2 Textless foil Lightning Bolts!! There is a random pack/2 grab bag draft at the Hobby Horse this Saturday 7-28-18 at 1:00 PM start time and a $12 entry fee. There is a heavy blue Shark Week draft this Saturday 7-21-18 at the Hobby Horse in Taylorville. The start time is 1:00 PM and entry fee is $15. First place can win a foil Force of Will from Eternal Masters! There is a draft for 3 packs of M19 this Saturday 7-14-18 at 1:00 PM and a $15 entry fee at the Hobby Horse in Taylorville. 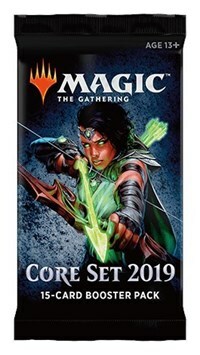 The first Prerelease for Core Set 19 is this Saturday 7-7-18 at 1:00 PM start time and a $25 entry fee. The second prerelease is on Sunday 7-8-18 at 1:30 PM and a $25 entry fee. The Red/White/Blue grab bag draft is this Saturday 6-30-18 at the Hobby Horse in Taylorville. Entry fee is just $10 and start time is 1:00 PM. 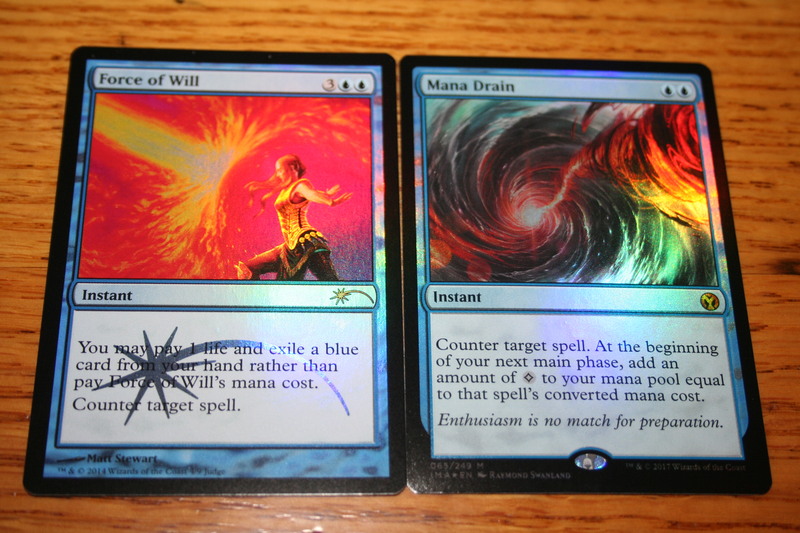 First place can win a foil Snapcaster Mage and second place wins a Force of Will! The Store Championship is this Saturday 6-23-18 at 1:00 PM and a $5 entry fee and the format is Standard. The June Swoon Grab Bag draft is this Saturday 6-16-18 at 1:00 PM start time and a $20 entry fee. 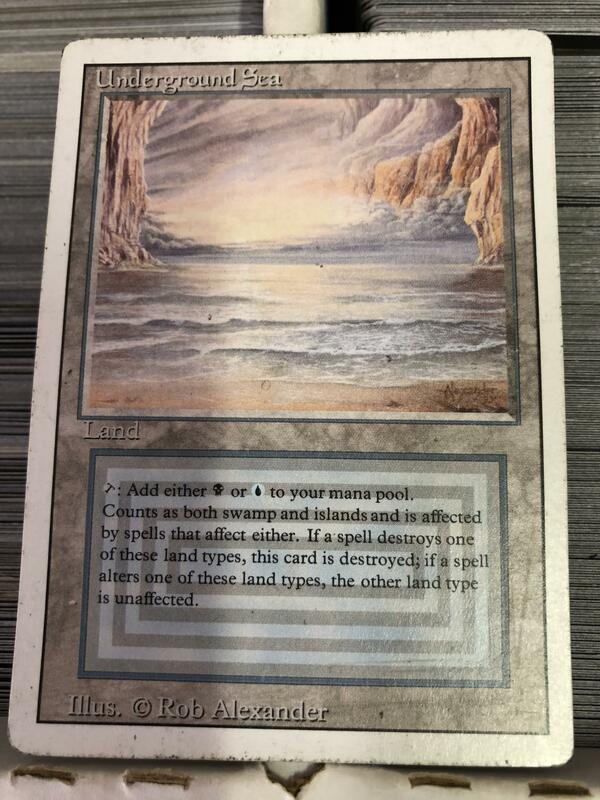 First place can win a Underground Sea! 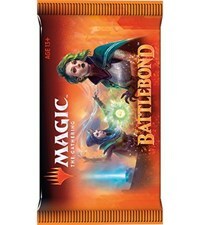 The Release event for Battlebond is this Saturday 6-9-18 at 1:00 PM. The format is 2HG Sealed and entry is $25 per team. Each team gets the 1 pack of 2 random foil cards for this event! There is a Battlebond 2HG event on both this Saturday 6-2 and this Sunday 6-3. Saturday's event starts at 1:00 PM and Sunday's starts at 2:00 PM. Either event is $25 entry fee per team. There is a random pack/2 grab bag draft this Saturday 5-26-18 at the Hobby Horse in Taylorville. Start time is 1:00 PM and entry fee is $12. Standard this Saturday at the Hobby Horse in Taylorville. Start time is 1:00 PM and entry fee is $8. There is a 2 grab bag/1 random booster pack draft this Saturday 5-12-18 at the Hobby Horse in Taylorville. Start time is 1:00 PM and entry fee is $12. 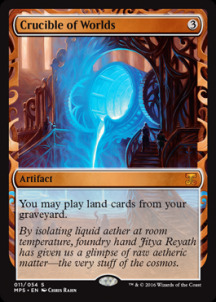 The Mythic Rare draft is this Saturday 5-5-18! Entry fee is $100 and first place wins a Black Lotus!! There is a Dominaria draft this Saturday 4-28-18 at the Hobby Horse in Taylorville. The start time is 1:00 PM and entry fee is $15. 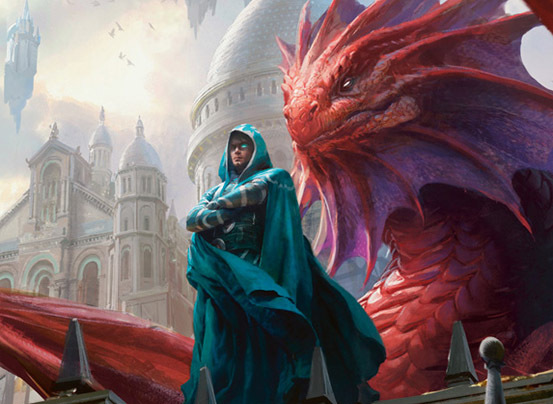 The Dominaria Prerelease events are this Saturday at 1:00 PM and this Sunday at 1:30 PM with entry fee of $25 for either event. We are having the Masters draft this Saturday 4-14-18 at 1:00 PM start time. The entry fee is $30 and you get to draft 2 random packs of any Masters set and 1 grab bag of Masters cards. First place wins a green jacket and a Jace the Mindsculptor and a Dark Confidant. The Store Championship is this Saturday 4-7-18 at the Hobby Horse in Taylorille. Start time is 1:00 PM and entry fee is $15. The format is draft 3 packs of Rivals of Ixalan. There is a Easter and April Fools Draft this Saturday 3-31-18 at the Hobby Horse in Taylorville. The start time is 1:00 PM and entry fee is $25. This Saturday 3-24-18 there is a random pack/2 grab bag draft at 1:00 PM start time and a $12 entry fee. 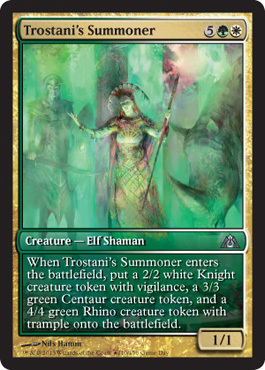 The mono green draft is this Saturday 3-17-18 at 1:00 PM start time and a $12 entry fee. First place can win a Gaea's Cradle!! There is a random pack/2 grab bag draft this Saturday 3-10-18 at the Hobby Horse in Taylorville. The start time is 1:00 PM and entry fee is $12. This Saturday 3-3-18 there is a Grab Bag draft AND a Standard tournament both starting at 1:00 PM at The Hobby Horse in Taylorville. The Grab Bag draft is $8 and the Standard tournament is $5. This Saturday 2-24-18 there is a random pack and 2 grab bag draft at the Hobby Horse in Taylorville. Start time is 1:00 PM and entry fee is $12. This Saturday 2-17-18 there is a Grab Bag draft at the Hobby Horse in Taylorville. Entry fee is $15 and start time is 1:00 PM. First place can win a Bayou! 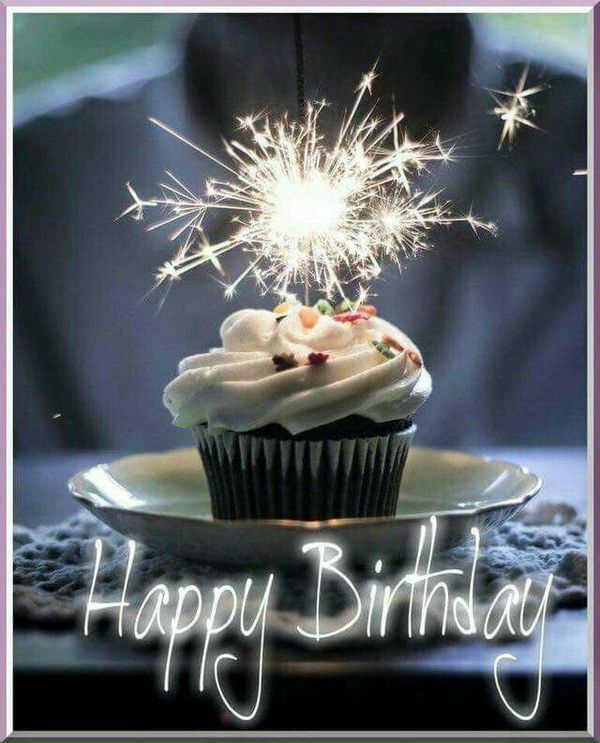 There is a Grab Bag birthday draft this Saturday at the Hobby Horse in Taylorville at 1:00 PM start time and a $20 entry fee. First place can win a Underground Sea if we get enough people! 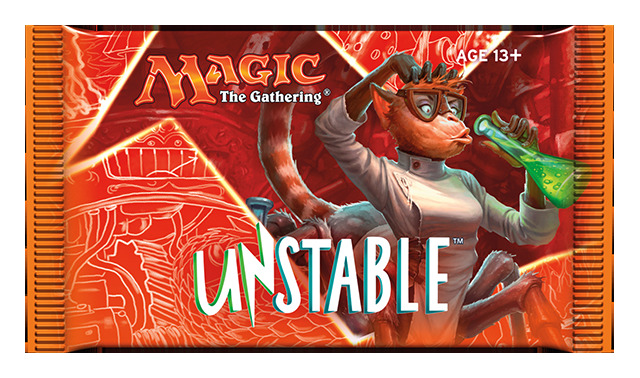 There is a Unstable draft on Saturday February 3rd at the Hobby Horse in Taylorville. Entry fee is just $12 and start time is 1:00 PM. 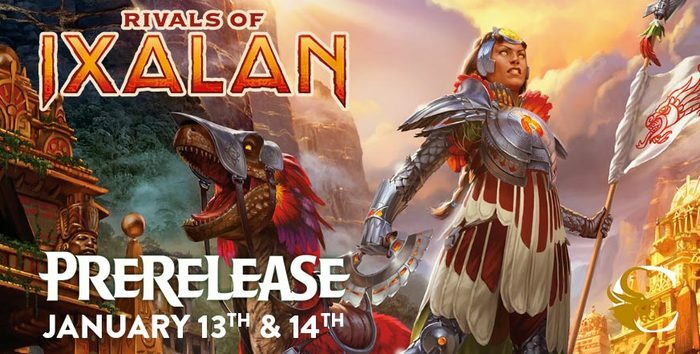 There is a Rivals of Ixalan draft this Saturday 1-20-18 at 1:00 PM start time and a $15 entry fee. The Rivals of Ixalan Prerelease events for the Hobby Horse in Taylorville are this Saturday 1-13 and Sunday 1-14. The entry fee for either event is $25 and the Saturday one starts at 1:00 PM and the Sunday one starts at 1:30 PM. Rivals of Ixalan Open House is this Saturday 1-6-18 at 1:00 PM start time. The Ixalan Store Championship for the Hobby Horse in Taylorville is on Saturday 12-30-17 at 1:00 PM start time. Entry fee is just $5 and the format is Standard. There is a all rare draft this Saturday 12-23-17 at 1:00 PM start time and a $25 entry fee. 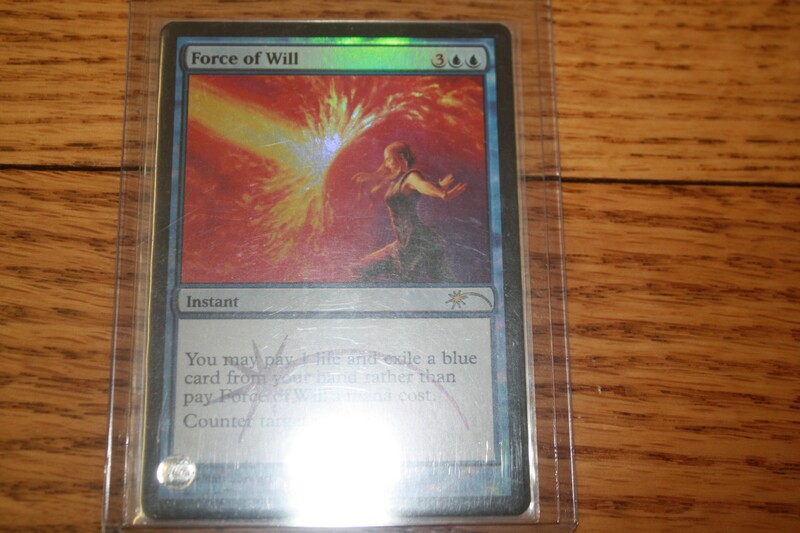 First place can win a Judge Foil Force of Will and other great prizes for 2nd-8th place! There is a random pack/ 2 grab bag draft on Saturday 12-16-17 at 1:00 PM and a $12 entry fee. There is a Unstable draft on Saturday 12-9-17 at 1:00 PM and a $15 entry fee. First place can win a special foil land card! 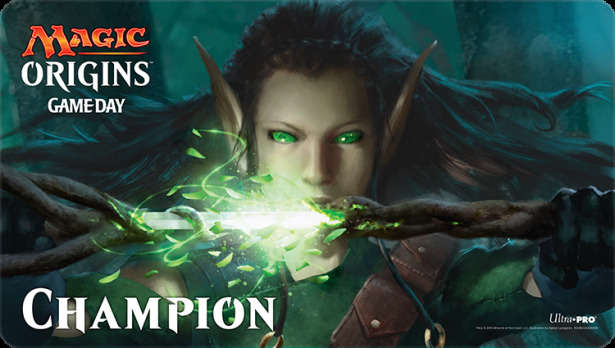 There is a Iconic Masters draft on Saturday 12-2-17 at 1:00 PM start time and a $40 entry fee. There is a grab bag post Thanksgiving Draft this Saturday 11-25-17 at the Hobby Horse in Taylorville. Start time is 1:00 PM and entry fee is $20. 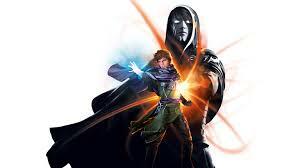 First place can win a Force of Will foil Invocation card and there will be other cards and special prizes for 1st-8th place if we get enough people. There is a Iconic Masters draft on Saturday 11-18-17 at the Hobby Horse in Taylorville. Start time is 1:00 PM and entry fee is $40. First and second place will get some awesome cards and 3rd and 4th will get boosters. There is a random pack/2 grab bag draft Saturday 11-11-17 at the Hobby Horse in Taylorville. Entry fee is $12 and start time is 1:00 PM. There is a multiplayer Commander tournament on Saturday 11-4-17 at 1:00 PM start time. Entry fee is $8. The annual Trick or Treat event is this Saturday 10-28-17 at 1:00 PM start time. Entry fee is $25. First place wins a Mox Jet! There is a grab bag draft this Saturday 10-21-17 at the Hobby Horse in Taylorville. The theme is heavy black and start time is 1:00 PM and entry fee is $15. 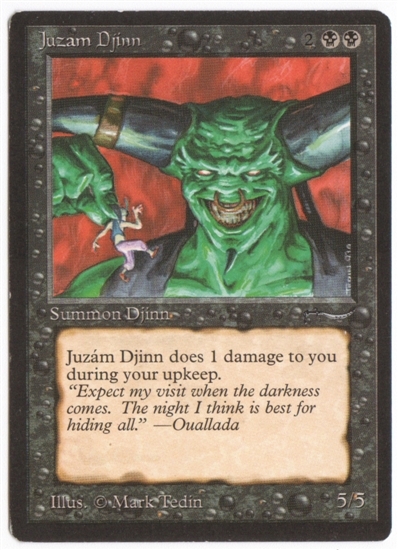 First place can win a Judge Foil Demonic Tutor and there will be other great black cards for prize support! There is a 5/5/5 grab bag draft this Saturday 10-14-17 at the Hobby Horse in Taylorville. Entry fee is $15 and the start time is 1:00 PM. 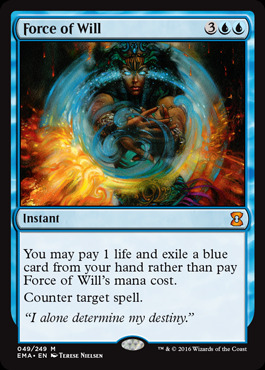 First place can win a Invocation foil Force of Will! 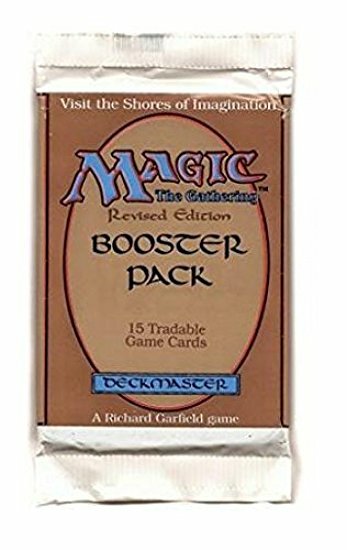 There is a random booster pack/2 grab bag draft this Saturday 10-7-17 at 1:00 PM start time and a $12 entry fee. First place can win a foil Expedition card! There is a Ixalan draft this Saturday at 1:00 PM start time and a $15 entry fee. The first Ixalan Prerelease at the Hobby Horse in Taylorville is on Saturday 9-23-17 at 1:00 PM start time and a $25 entry fee. The second Ixalan Prerelease is Sunday 9-24 at 1:30 PM and a $25 entry fee. This Saturday 9-16-17 we are having a special Grab Bag draft at the Hobby Horse in Taylorville. Start time is 1:00 PM and entry fee is $20. The packs will have lots of foils and promo cards in them and one lucky drafter will find a Golden Ticket to unlock a special prize! 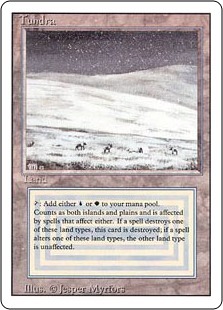 First place can will a Invocation Force of Will and a Dual Land and 2nd place can win a Dual Land! There is a 2 grab bag 1 random pack draft this Saturday 9-9-17 at the Hobby Horse in Taylorville. Start time is 1:00 PM and entry fee is $12. There is a All Rare Draft this Saturday at the Hobby Horse in Taylorville 9-2-17. Start time is Noon and entry fee is $40. 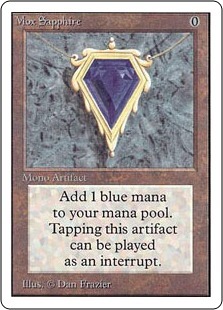 First place wins a Mox Sapphire!!! There is a Legacy tournament this Saturday at the Hobby Horse in Taylorville. Entry fee is $20 and start time is 1:00 PM. 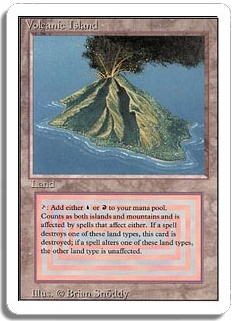 First place will win a dual land and second place will win one dual land as well. There is a Tier Draft this Saturday 8-19-17 at the Hobby Horse in Taylorville. Entry fee is $15 and start time is 1:00 PM. 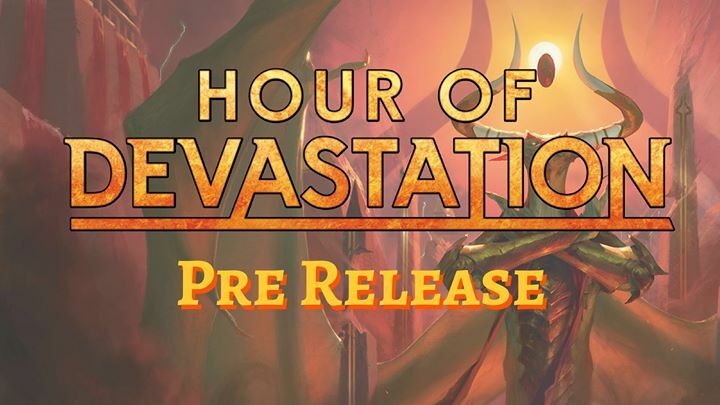 The Hour of Devastation Game Day events begin Saturday 8-5-17 at 1:00 PM at the Hobby Horse in Taylorville. The second Game Day is on Sunday 8-6-17 at 1:30 PM. Both of these events are Standard and either event is $5 entry fee. There is a Sizzling Hot Grab Bag draft this Saturday 7-29-17 at the Hobby Horse in Taylorville. Start time is 1:00 PM and entry fee is $20. 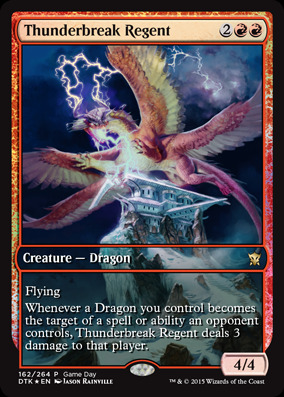 Format is 3 grab bag draft with more red and burn spells than normal but all colors will be in the draft. 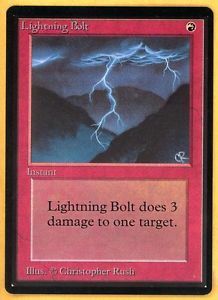 First place can win a playset of Beta Lightning Bolts is we get enough people. Other fabulous red cards for 2nd-8th place! There is a Legacy tournament this Saturday 7-22-17 at the Hobby Horse in Taylorville. 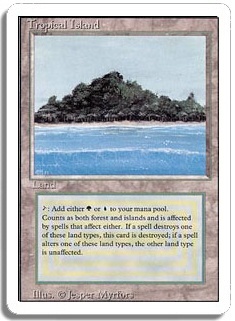 Entry fee is $20 and first place can win a revised Tropical Island and second place will also win a dual land! There is a Hour of Devastation draft this Saturday 7-15-17 at the Hobby Horse in Taylorville. Entry fee is $15 and start time is 1:00 PM. First place will win a Invocation card. We are having the Hour of Devastation Pre Release tournaments this Saturday 7-8-17 and Sunday 7-9-17. Saturday's start time is 1:00 PM and Sunday's start time is 1:30 PM. Entry fee is $25 for either event. Amonkhet sealed deck with 1 booster pack and 5 grab bags on Saturday 7-1-17 at 1:00 PM and a $8 entry fee. Also free Standard play that day. There is a mono blue draft in honor of Shark Week this Saturday 6-24-17 at the Hobby Horse in Taylorville. Entry fee is $15 and start time is 1:00 PM. 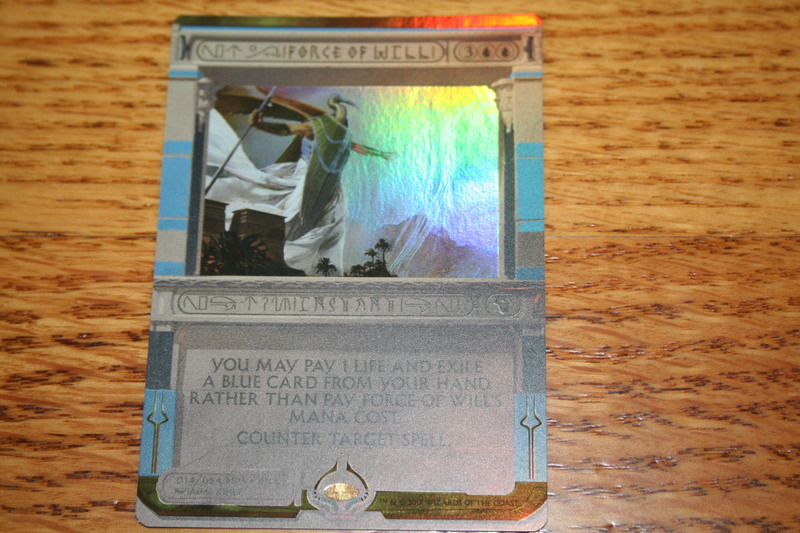 First place wins a foil Force of Will from Eternal Masters! There is a Red/White/Blue draft this Saturday 6-17-17 at the Hobby Horse in Taylorville. Entry fee is $12 and start time is 1:00 PM. 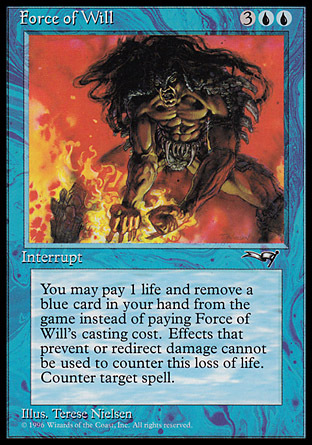 First place wins a Foil Force of Will Invocation card! This Tuesday 6-13-17 there is a grab bag draft at the Hobby Horse in Taylorville. Entry fee is just $10 and start time is 5:30 PM. First place wins a Savannah! There is a 2 grab bag/1 random booster pack draft this Saturday 6-10-17 at the Hobby Horse in Taylorville. Entry fee is $12 and start time is 1:00 PM. This Saturday 6-3-17 there is a Legacy tournament at the Hobby Horse in Taylorville. Start time is 1:00 PM and entry fee is $20. 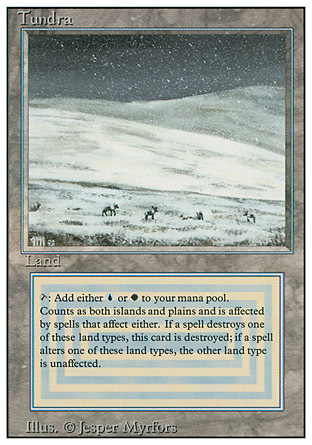 First place will win a dual land and second place can as well if we get enough people. There is a random booster pack/2 grab bag draft this Saturday 5-27-17 at the Hobby Horse in Taylorville. The start time is 1:00 PM and entry fee is $12. First place can win two Invocations! 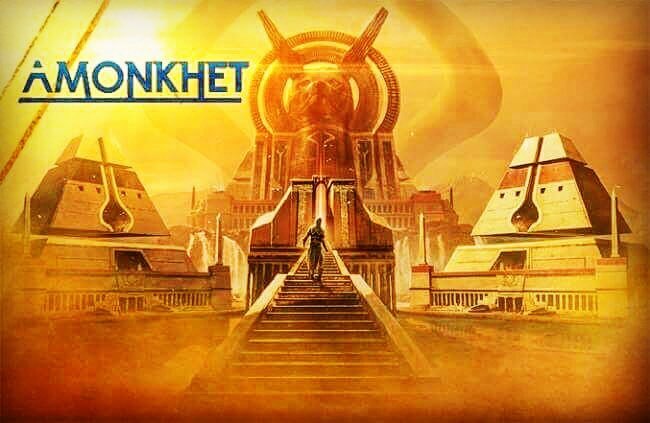 The Amonkhet Game Day tournaments are Saturday 5-20 and Sunday 5-21 and both events start at 1:00 PM. Entry fee is $5 for either event and the format is Standard. There is a grab bag extravaganza draft this Saturday 5-13-17 at the Hobby Horse in Taylorville. Start time is 1:00 PM and entry fee is $25. 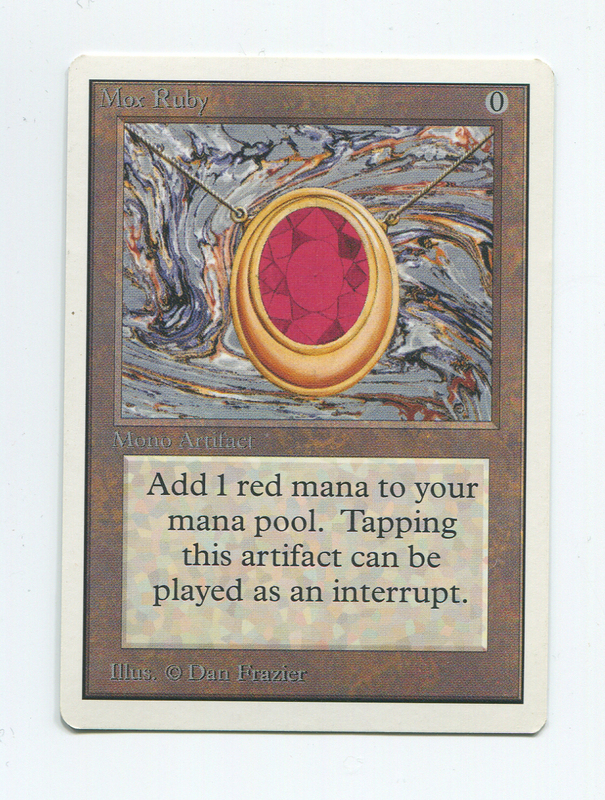 First place wins a Mox Ruby! There is a Legacy tournament this Saturday at the Hobby Horse in Taylorville. Start time is 1:00 PM and entry fee is $20. 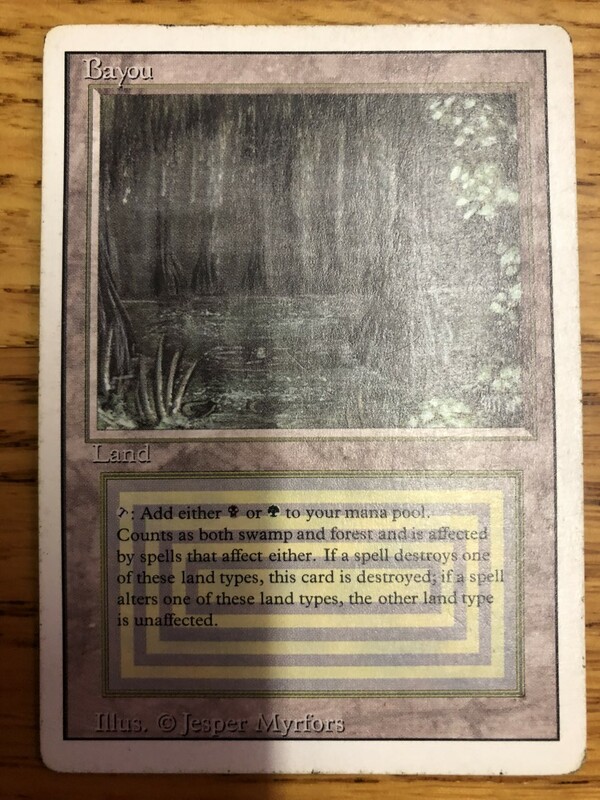 First place can win a dual land and second place can win a dual land as well. There is a Amonkhet draft this Saturday 4-29-17 at the Hobby Horse in Taylorville. The start time is 1:00 PM and entry fee is $15. First place can win a Masterpiece card or a Expedition card or a Invocation card or if we get enough players all 3! 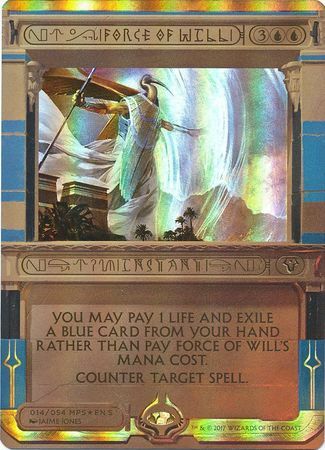 The Prerelease #1 for Amonkhet is this Saturday at 1:00 PM at the Hobby Horse in Taylorville. The 2nd Prerelease is on Sunday 4-23 at 1:30 PM and either Prerelease is $25 entry fee. There is a Modern Masters 2017 draft at the Hobby Horse in Taylorville on Saturday 4-8-17. The format is 2 boosters of MM2017 and 1 grab bag of MM2017 for $25 entry fee. The start time is 1:00 PM. First place will win either a foil Masterpiece or a foil Expedition land depending on attendance. There is a grab bag April Fools Day draft on Saturday 4-1-17. Start time is 1:00 PM and entry fee is just $20. 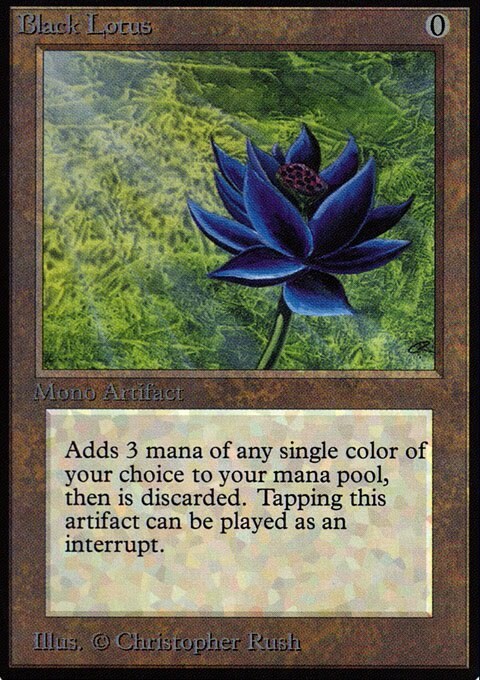 First place can win a Black Lotus!!! There is a all rare draft this Saturday 3-25-17 at the Hobby Horse in Taylorville. The start time is Noon and entry fee is $40. 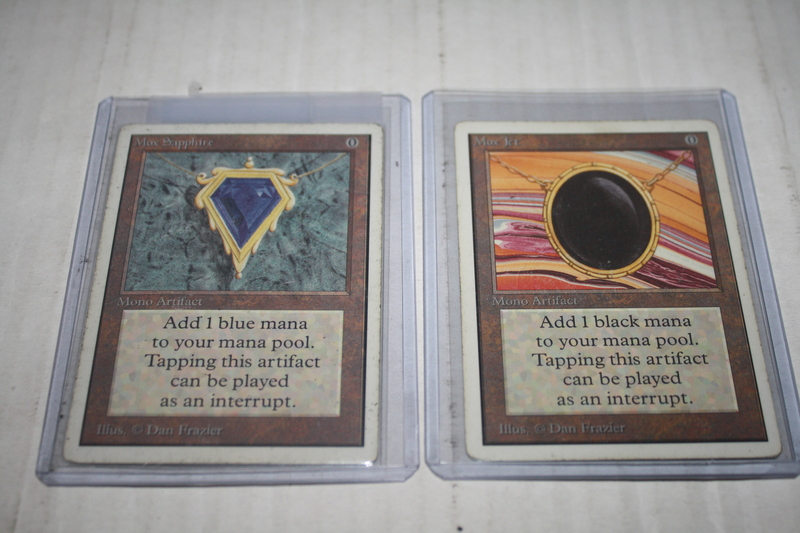 First place wins a Mox Emerald and 2nd place wins a Timetwister! 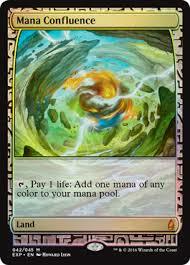 There is a mono green draft this Saturday 3-18-17 at the Hobby Horse in Taylorville. Start time is 1:00 PM and entry fee is $10. First place can win a Gaea's Cradle if we get enough people. There is a Legacy tournament this Saturday in Taylorville at the Hobby Horse. Start time is 1:00 PM and entry fee is $20. 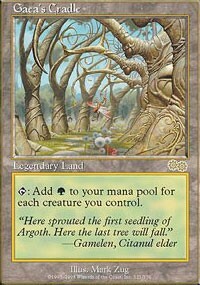 First place can win a dual land based on attendance and 2nd place can win a dual land as well if we get enough players. There is a Modern tournament this Saturday 3-4-17 at 1:00 pm start time. Entry fee is $10 and first place can win a Tarmogoyf if we get enough people. There is a double grab bag/random pack draft this Saturday 2-25-17 at the Hobby Horse in Taylorville. Entry fee is $12 and start time is 1:00 PM. First place can win a Masterpiece card! This Saturday there is a sealed deck event at the Hobby Horse in Taylorville. The start time is 1:00 pm and entry fee is $25. The format is 4 grab bags and 2 random booster packs for a 90 card sealed pool and I supply basic lands as always. The Aether Revolt Game Day #1 begins Saturday 2-11-17 at 1:00 PM and the 2nd Game Day is Sunday 2-12-17 at 1:30 pm start time. Entry fee for either event is $5 and they are the Standard format. 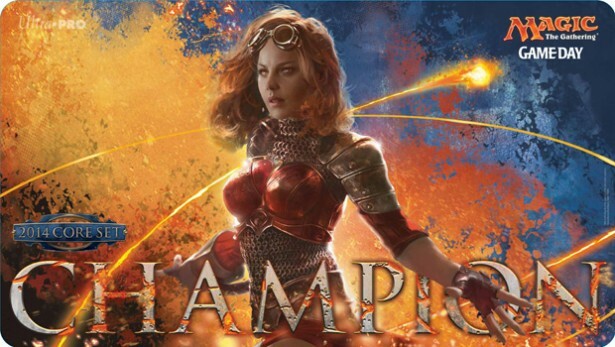 There is a Commander tournament this Saturday 2-4-17 at 1:00 PM start time. It is a $5 entry fee and it is a multiplayer free for all. You will be seated randomly in pods of 3-5 people to play in this event. 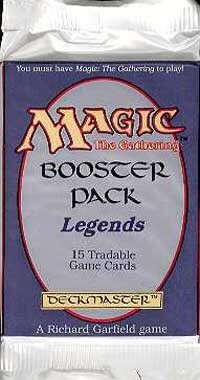 There is a random booster pack/2 grab bag draft this Saturday 1-28-17 at 1:00 PM start time. Entry fee is just $12 and first place will win a Masterpiece card! There is a sealed deck event this Saturday 1-21-17 at 1:00 PM start time and a $25 entry fee. First place can win boosters and a Masterpiece card! The first Prerelease for Aether Revolt is this Saturday 1-14-17 at 1:00 PM and the 2nd one is this Sunday 1-15-17 at 1:30 pm start time. Entry fee for either event is $25. There is a tier draft this Saturday 1-7-17 at 1:00 PM start time at the Hobby Horse. 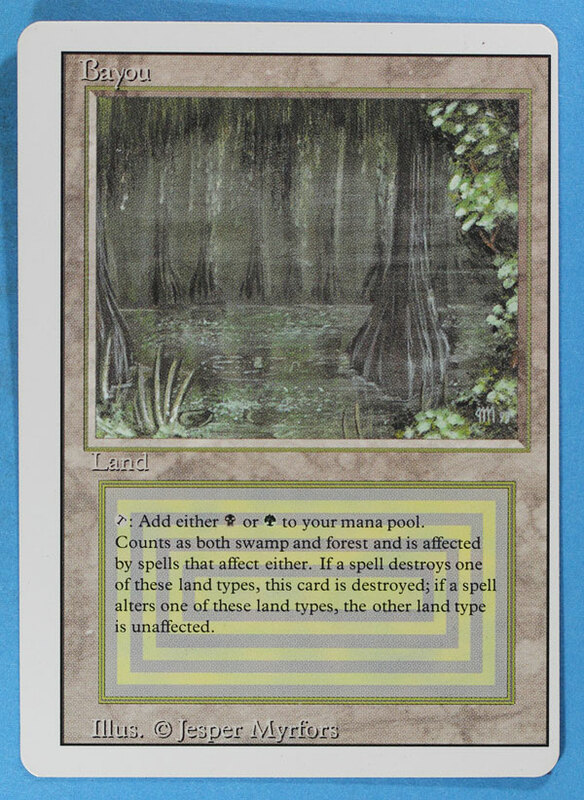 Entry fee is $15 and first place can win a Expedition foil Bloodstained Mire. There is a grab bag draft on New Years Eve Saturday 12-31-16 at 1:00 PM start time at the Hobby Horse in Taylorville. Entry fee is $15 and first place will win a Expedition land and 2nd place will win a Masterpiece artifact card based on attendance. We are having a draft this Saturday 12-17-16 at the Hobby Horse in Taylorville. Start time is Noon and entry fee is $20. The draft is 3 grab bags 1 of which is all foils the 2nd is all rares and the 3rd is just a normal grab bag. First place wins a Power Nine card and 2nd-8th will be based on attendance. There is a random pack/double grab bag draft this Saturday 12-10 at 1:00 pm start time. Entry fee is $12 and first place can win a Masterpiece Sol Ring if we get enough people. There is a random booster pack/double grab bag draft on Saturday 12-10-16 at the Hobby Horse in Taylorville. Entry fee is $12 and start time is 1:00 pm. 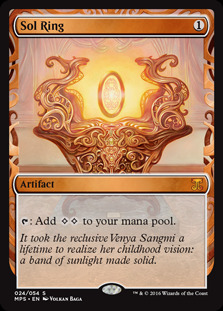 First place can win a Masterpiece Sol Ring if we get enough players. There is a Modern tournament this Saturday 12-3-16 at the Hobby Horse in Taylorville. Entry fee is $8 and start time is 1:00 PM. First place will win a Masterpiece card! There is a all rare draft this Saturday 11-26-16 at the Hobby Horse in Taylorville. Entry fee is $40 and start time is Noon. Super packs will be in play and 1st place prize is a English Tabernacle at Pendrall Vale! There is a Peasant draft all commons and uncommons this Saturday 11-19-16 at the Hobby Horse in Taylorville. Start time is 1:00 PM and entry fee is $10. 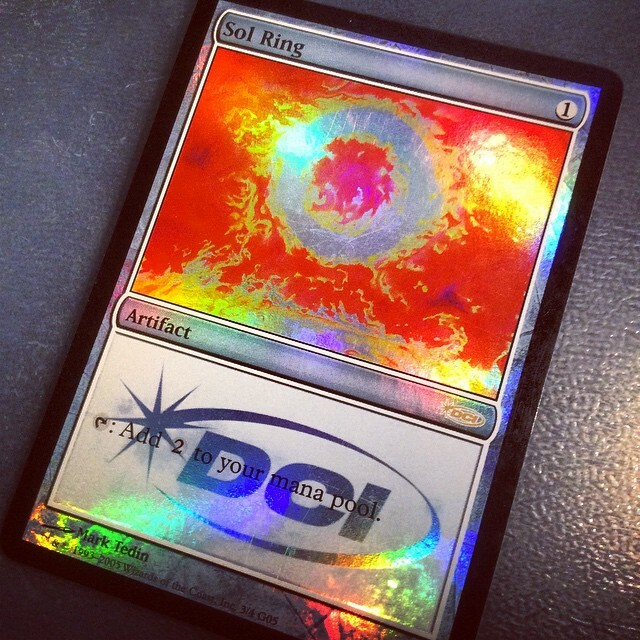 First place can win a Sol Ring Masterpiece card if we have enough players. There is a Standard tournament this Saturday 11-12-16 at 1:00 PM start time at the Hobby Horse in Taylorville. Entry fee is $8 and first place can win a Masterpiece Crucible of Worlds if we have enough people. There is a double grab bag/ 1 random booster pack draft this Saturday 11-5-16 at the Hobby Horse in Taylorville. Start time is 1:00 pm and entry fee is $12. The annual Trick or Treat event is this Saturday 10-29-16 at Noon start time. Entry fee is $25. First place wins a Mox Jet! Our Kaladesh Game Day #1 is on Saturday 10-22-16 at 1:00 PM at the Hobby Horse in Taylorville. Our second Game Day is on Sunday 10-23-16 at 1:30 PM start time and both of these are $5 each entry fees and both are the Standard Format. 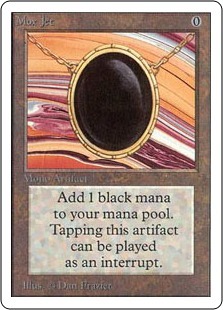 We are having our annual mono black draft this Saturday 10-15-16 at a 1:00 PM start time. Entry fee is $12 and first place can win a Juzam Djinn if we get enough people. There is a random pack/double grab bag draft this Saturday 10-8 at the Hobby Horse in Taylorville. Entry fee is $12 and start time is 1:00 pm. There is a double grab bag/1 random booster pack draft on Saturday 10-1-16 at the Hobby Horse in Taylorville. Entry fee is $12 and start time is 1:00 pm. 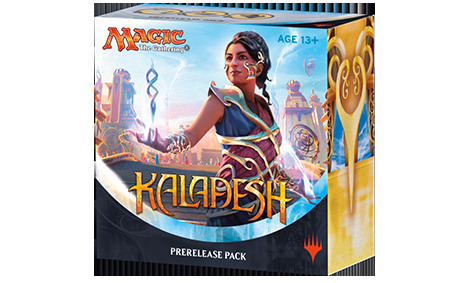 The Prerelease tournament #1 for Kaladesh is this Saturday 9-24-16 at 1:00 pm start time and $25 entry fee. 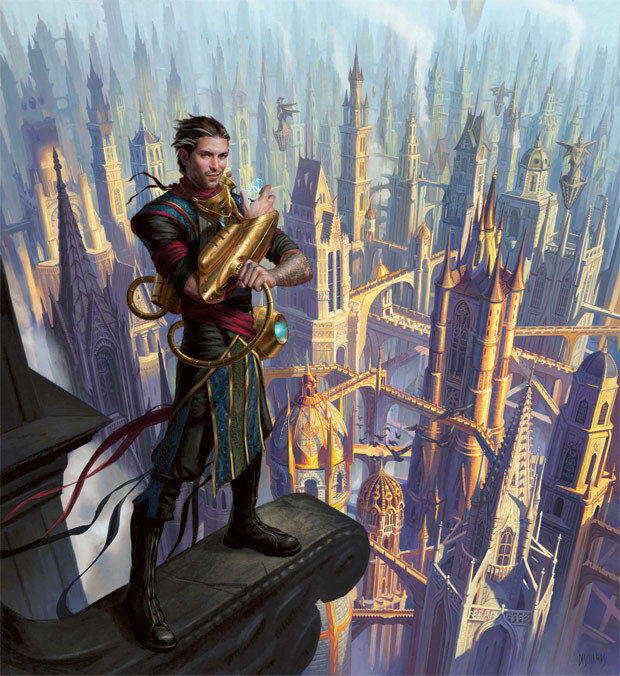 The second prerelease for Kaladesh is Sunday 9-25-16 at 1:30 pm start time and also a $25 entry fee. There is a Conspiracy 2 draft this Saturday 9-17-16 at 1:00 pm and $12 entry fee and a grab bag draft for $8 at 4:30 pm approximate at the Hobby Horse in Taylorville. There is a grab bag draft this Saturday 9-10-16 at the Hobby Horse in Taylorville. Entry fee is just $10 with a start time of 1:00 pm and first and second place both win dual lands based on attendance. There is a grab bag/random booster pack draft this Saturday 9-3-16 at the Hobby Horse in Taylorville. Start time is 1:00 pm and entry fee is $15. There is a Conspiracy 2 draft on Saturday 8-27-16 at 1:00 pm at the Hobby Horse in Taylorville and entry fee is $12. 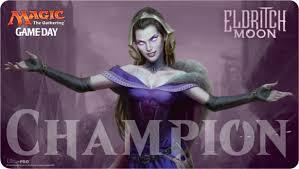 There is a Eternal Masters draft on Saturday 8-20-16 at 1:00 pm start time. 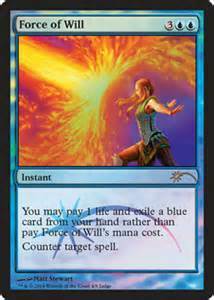 Entry fee is $40 and first place can win a Judge Foil Force of Will! Also this is your last chance to draft Eternal Masters and your last chance to buy Eternal Masters packs at The Hobby Horse! The Eldritch Moon Game Day events start this Saturday 8-13 at 1:00 pm at the Hobby Horse and then the second Game Day is this Sunday 8-14 at 1:30 pm. Entry fee is $5 for either event and the format for Game Day is Standard as always. There is a Legacy tournament this Saturday 8-6-16 at the Hobby Horse in Taylorville. Start time is 1:00 pm and entry fee is $20. 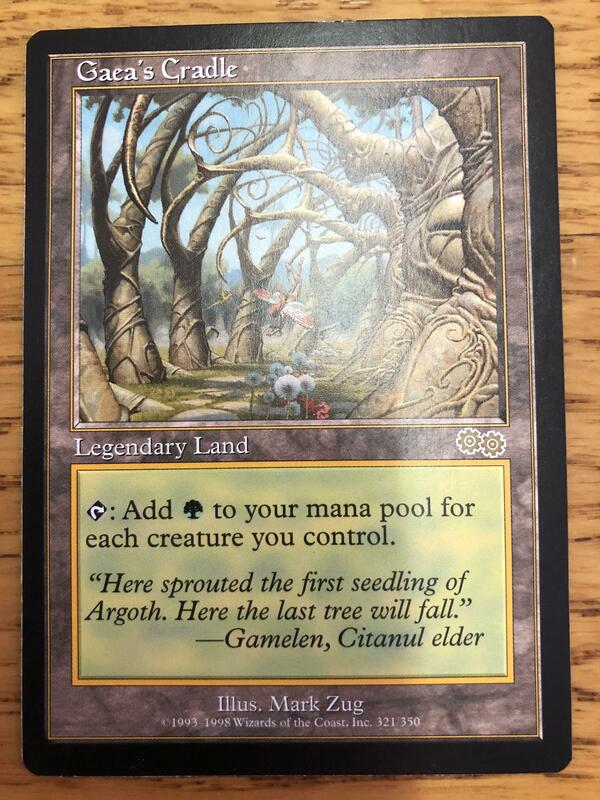 First place wins a dual land and 2nd place also wins a dual land! There is a 5/5/5 grab bag draft this Saturday 7-30-16 at the Hobby Horse in Taylorville. 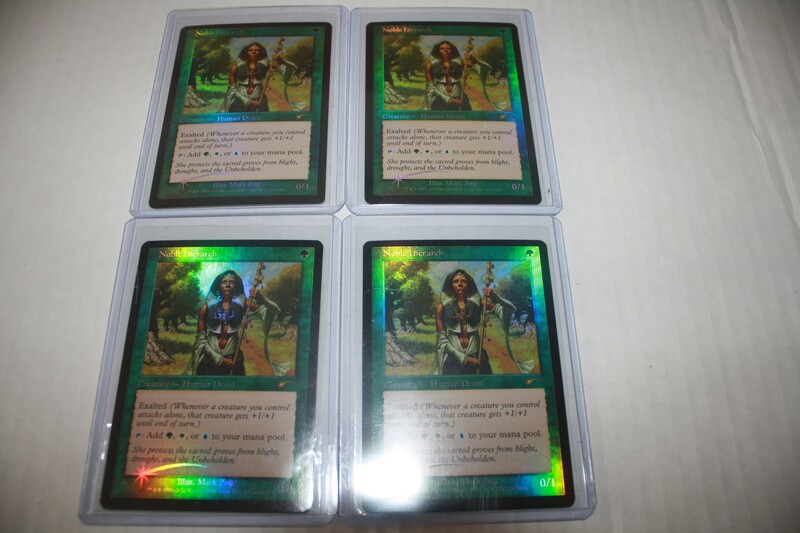 Entry fee is $15 and 5/5/5 means each pack will have 5 rares 5 uncommons and 5 commons all random of course. Start time is 1:00 pm and first place will win Force of Will cards based on attendance, for every 5 players a Force of Will goes to 1st place up to a playset if we get at least 20 people. There is a Legacy tournament this Saturday 7-23-16 at 1:00 pm start time. Entry fee is $20 and first place wins a dual land and 2nd place also wins a dual land. 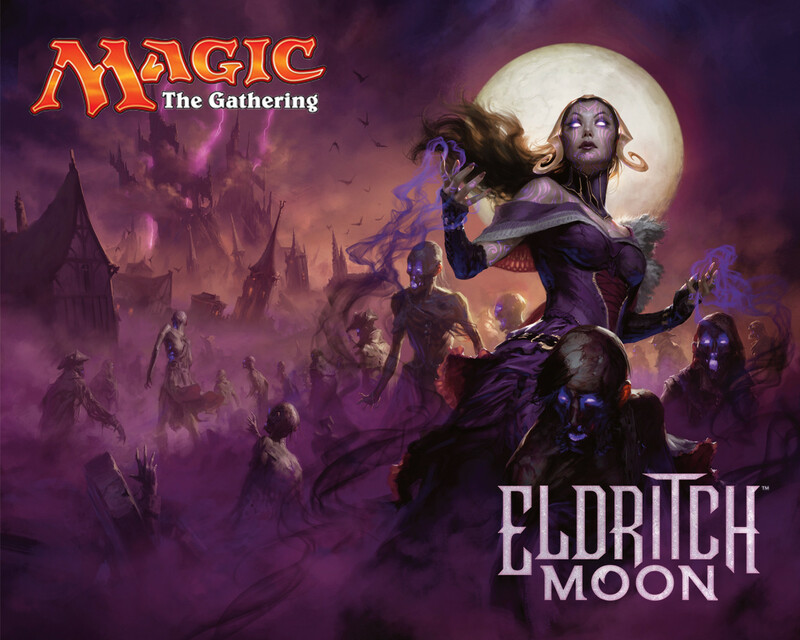 The Eldritch Moon Prerelease tournaments begin this Saturday 7-16 at 1:00 PM at the Hobby Horse. The 2nd Prerelease is this Sunday 7-17 at the Hobby Horse at 1:30 PM start time. Entry fee is $25 for Saturday and also $25 for Sunday. 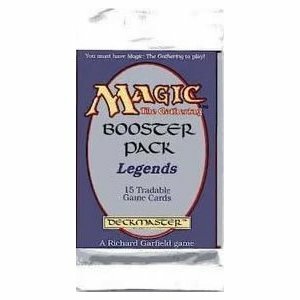 There is a random booster pack/2 grab bag draft this Saturday 7-9-16 at 1:00 pm start time. Entry fee is $12 and first place wins a mystery foil card! There is a Red, White and Blue draft this Saturday at the Hobby Horse in Taylorville. Entry fee is $15 and start time is 1:00 PM. 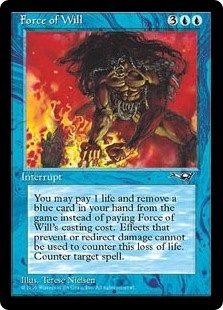 First place can win a foil Force of Will from Eternal Masters if we get enough players. Our annual mono blue Shark Week draft is this Saturday 6-25-16 at Noon start time. Entry fee is $15 and first place can win up to a playset of Force of Will based on attendance. There is a all rare draft on Saturday 6-18 at the Hobby Horse in Taylorville. 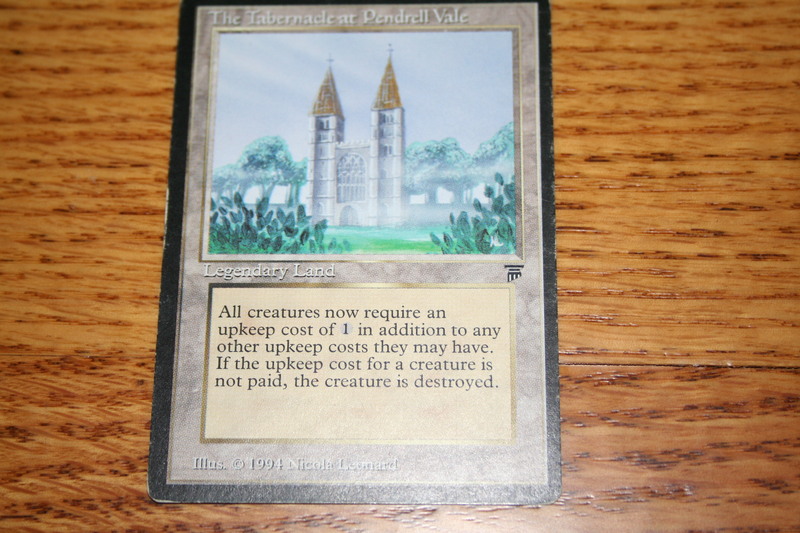 Entry fee is $30 and first place wins a Tabernacle at Pendrall Vale! 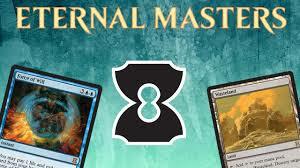 There is a Eternal Masters draft this Saturday 6-11-16 at 1:00 pm at the Hobby Horse in Taylorville. 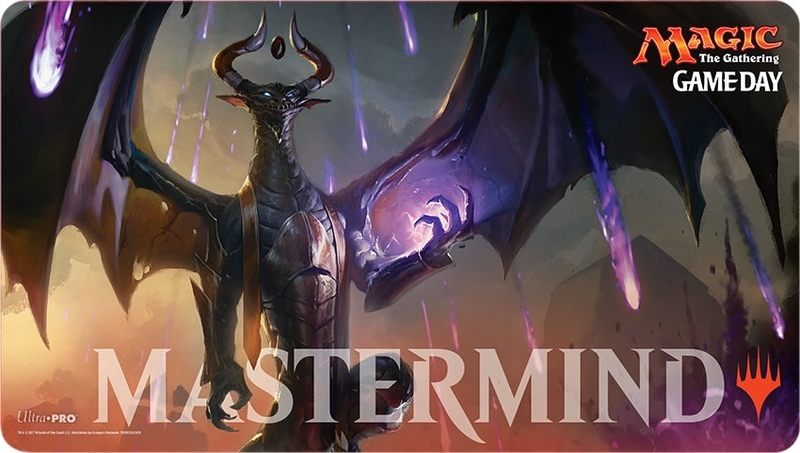 Entry fee is $35 and you get to draft 3 boosters of Eternal Masters! First place wins a playset of Force of Will! There is a Legacy tournament this Saturday at the Hobby Horse in Taylorville. Start time is 1:00 pm and entry fee is $20. First place wins a dual land and 2nd place wins a dual land. 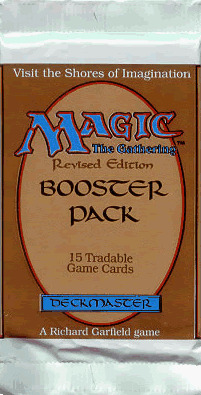 There is a random booster pack and 2 grab bags draft this Saturday 5-28 at 1:00 PM start time. Entry fee is $12 and first place wins a Force of Will! There is a double grab bag and one random booster pack draft this Saturday 5-21-16 at 1:00 PM start time. Entry fee is $12 and first place wins a Mana Confluence Foil Expedition and other prizes include booster packs. 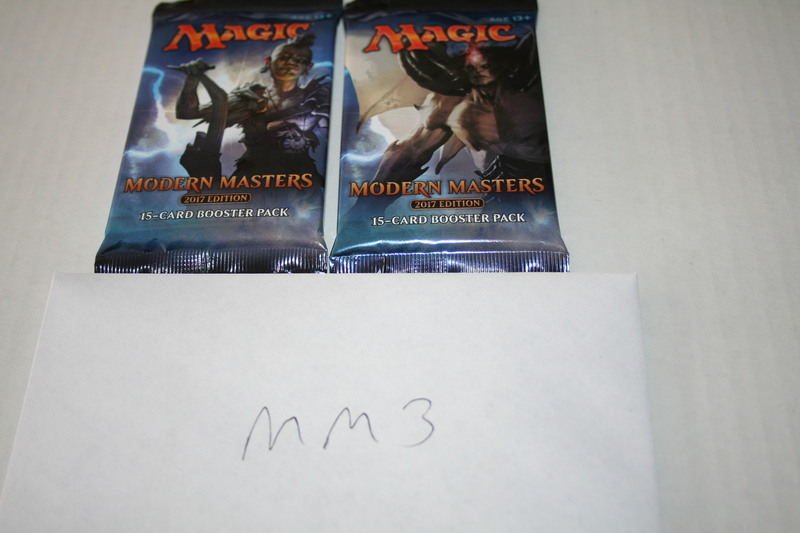 There is a 2 grab bag and 1 Modern Masters 2 draft this Saturday 5-14-16 at the Hobby Horse in Taylorville. Entry fee is $15 and the start time is 1:00 PM. 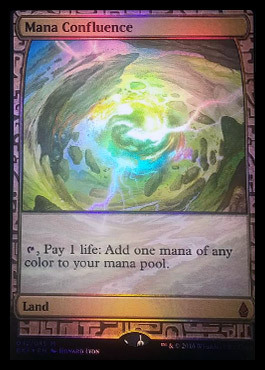 First place wins a Mana Confluence Foil Expediiton. The all rare draft is this Saturday 5-7-16 at the Hobby Horse in Taylorville. Start time is Noon and entry fee is $40. 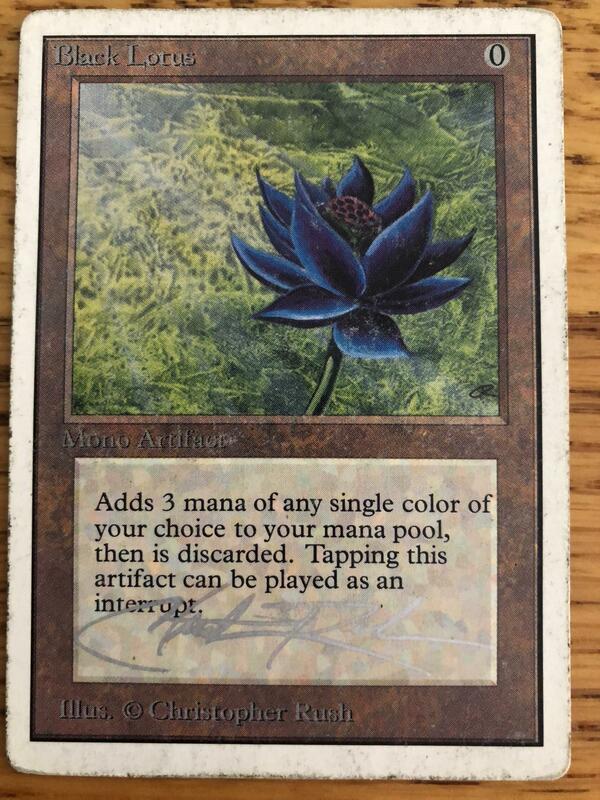 Top 4 finishers win Power Nine cards! 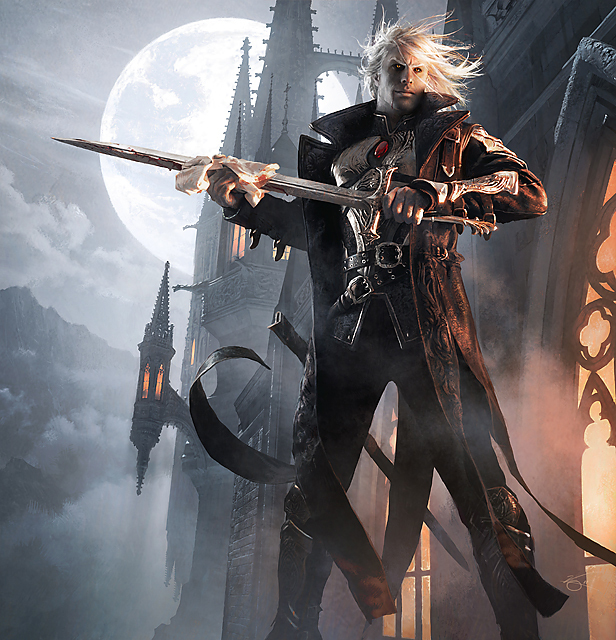 The Shadows over Innistrad Game Day events at the Hobby Horse in Taylorville begins this Saturday at 1:00 PM and the second one is this Sunday 5-1 at 1:30 PM start time. Entry fee is $5 per event and the format is Standard for both events. There is a Legacy tournament this Saturday 4-23-16 at the Hobby Horse in Taylorville. Start time is 1:00 PM and entry fee is $20. 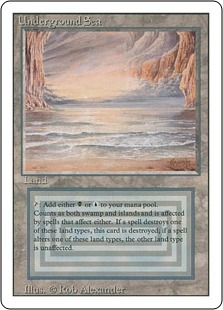 First place will win a dual land and 2nd place can win a dual land as well. There is a random booster pack draft this Saturday at the Hobby Horse in Taylorville. Start time is 1:00 PM and entry fee is $20. First place wins a Expedition land! 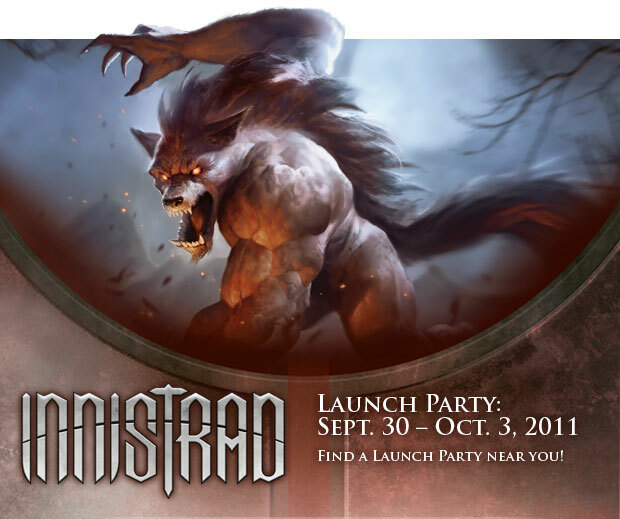 There is a Shadows over Innistrad draft this Saturday at the Hobby Horse in Taylorville. Start time is 1:00 PM and entry fee is $15. First place can win a Expedition land if we get enough people! 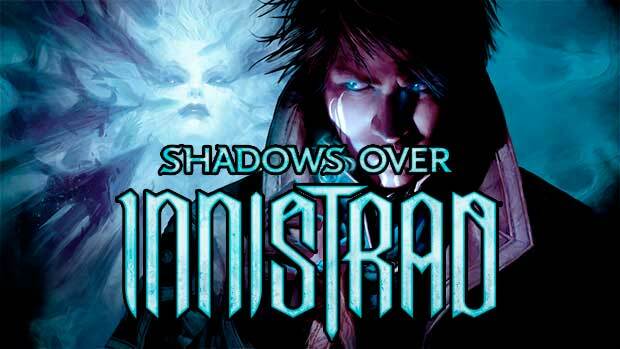 The Shadows over Innistrad prerelease #1 is this Saturday 4-2-16 at 1:00 PM start time and a $25 entry fee. The 2nd Prerelease is Sunday 4-2-16 at 1:30 PM start time and is also $25 entry fee. The April Fools draft is this Saturday 3-26-16 in Taylorville. The start time is Noon. Entry fee is $20. 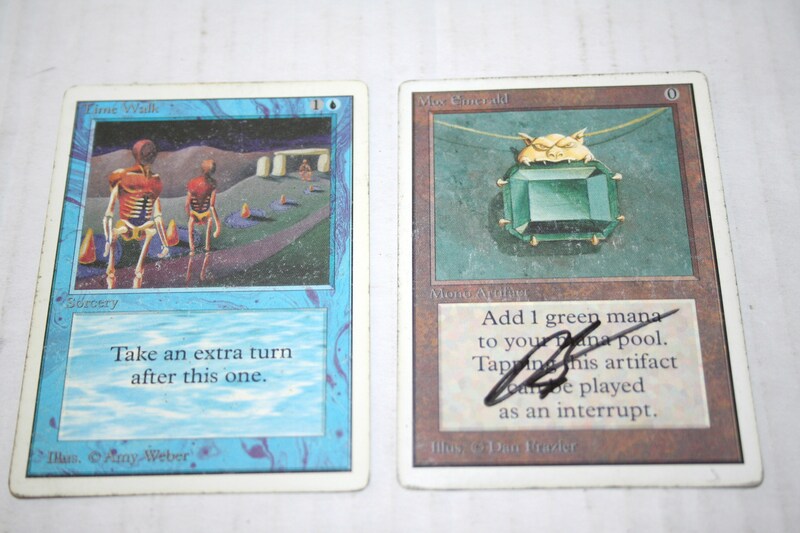 First and second place will win a Power Nine card each! There is a mono green draft this Saturday 3-19-16 at the Hobby Horse in Taylorville. The start time is Noon and entry fee is $15. First place wins a Mox Emerald if we get enough people. There is a Legacy tournament this Saturday 3-12-16 at the Hobby Horse in Taylorville. The Start time is 1:00 PM and entry fee is $20. First place wins a dual land and second place wins a dual land guaranteed! There is a 2 grab bag and 1 random booster pack draft this Saturday at the Hobby Horse in Taylorville. Entry fee is $12 and start time is 1:00 PM. First place will win a special foil card. There is a Legacy tournament this Saturday 2-27-16 at the Hobby Horse in Taylorville. Start time is 1:00 PM and entry fee is $20. 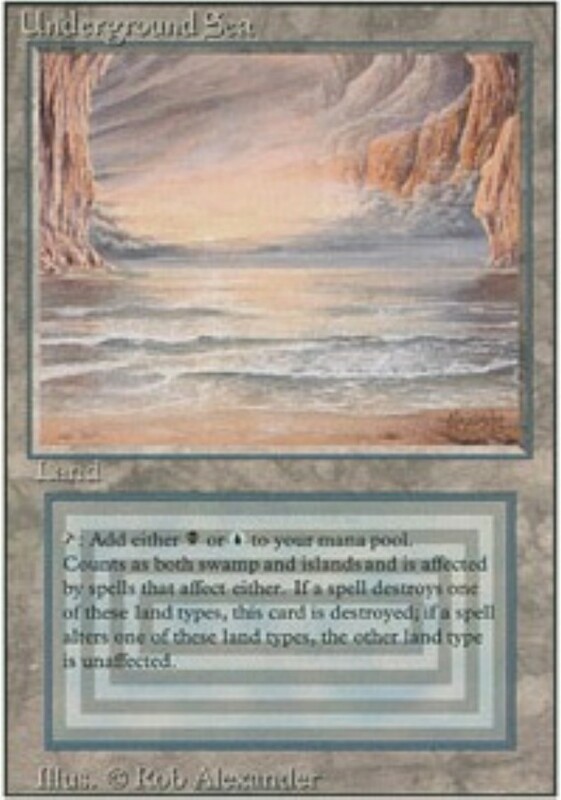 First place wins at least a dual land and second place also wins one dual land. 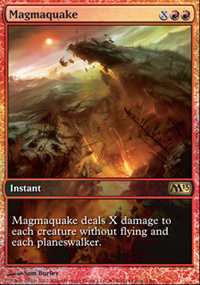 There is a mono Red draft this Saturday at the Hobby Horse in Taylorville. Start time is Noon and entry fee is $15. First place wins a Mox Ruby! The Oath of the Gatewatch Game Day tournaments are this Saturday 2-13-16 and Sunday 2-14-16. Start time for both days is 1:00 PM and entry fee is $5 for each day. The format is Standard. There is a 2 all rare grab bag and one 5/5/5 grab bag pre-birthday draft this Saturday 2-6-16 at the Hobby Horse in Taylorville. Entry fee is $25 and start time is Noon. First place wins a Mox Ruby! 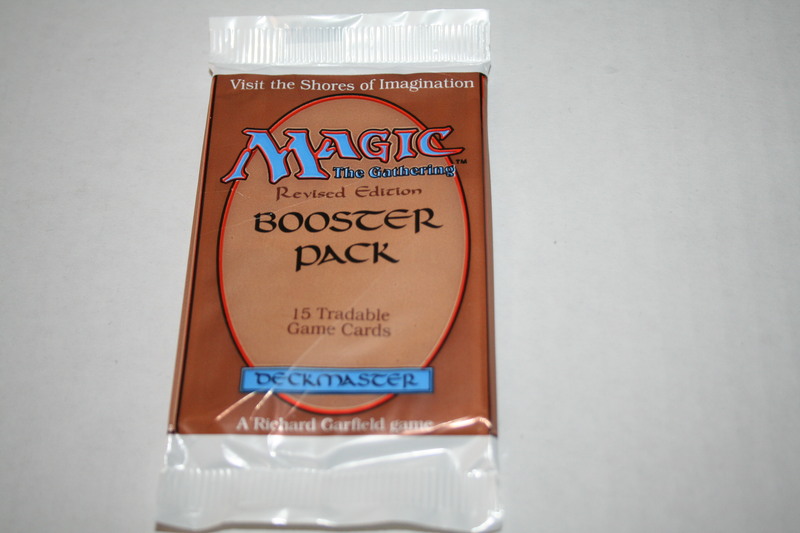 There is a random booster pack/2 grab bag draft this Saturday 1-30-16 at the Hobby Horse in Taylorville. Entry fee is just $12 and start time is 1:00 PM. There is a Two-Headed Giant sealed deck tournament at the Hobby Horse in Taylorville this Saturday 1-23-16 at a 1:00 PM start time. Entry fee is $20 per person or $40 for your team, bring your own partner. 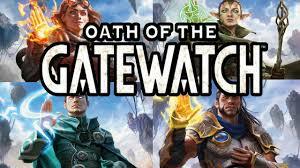 The Oath of the Gatewatch prerelease at the Hobby Horse in Taylorville begins at 1:00 PM on Saturday 1-16-16 and our second prerelease is Sunday 1-17-16 at 1:30 PM start time. Both events are sealed deck and both events are $25 entry fee. There is a Legacy tournament Saturday 1-9-16 at the Hobby Horse in Taylorville. Start time is 1:00 PM and entry fee is $20. First place gets at least one dual land and second place also gets at least one dual land. We are having a 17 year anniversary draft at the Hobby Horse in Taylorville on Saturday 1-2-16. Entry fee is $15 and start time is Noon. 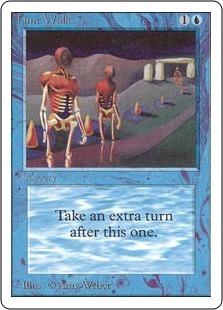 First place can win a playset of Underground Seas if we get enough people. There is a Naya post Christmas draft this Saturday 12-26-15 at the Hobby Horse in Taylorville. Entry fee is $20 and start time is Noon. First place wins a Mox Emerald. This Saturday 12-19-15 there is a 5/5/5 grab bag draft at the Hobby Horse in Taylorville. 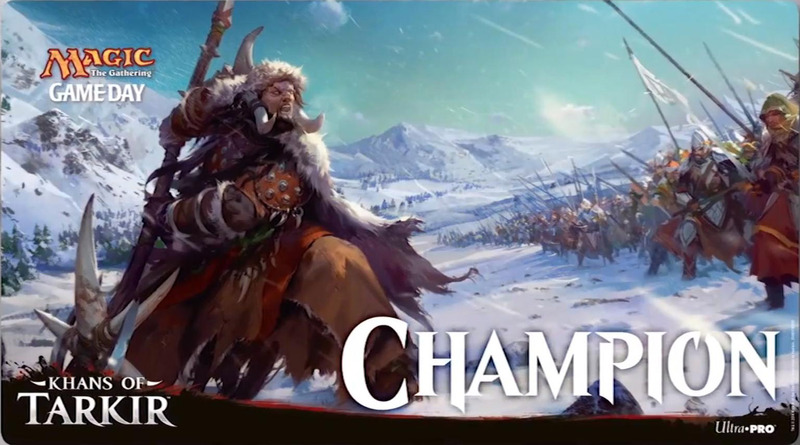 This means each pack will have 5 rares 5 uncommons and 5 commons in every pack. Entry fee is $15 and start time is 1:00 PM. First place wins 12 judge foil cards!! There is a double grab bag and 1 random pack draft this Saturday 12-12-15 at the Hobby Horse in Taylorville. Start time is 1:00 PM and entry fee is $10. There is a Legacy tournament this Saturday at the Hobby Horse in Taylorville. Start time is 1:00 PM and entry fee is $20. 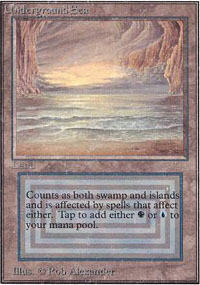 Dual lands for first and second place based on attendance. The second rare draft of this month is this Saturday 11-28-15 at the Hobby Horse in Taylorville. Start time is Noon and entry fee is $25. No super packs this time however the top 8 finishers will get to redraft and first place will win a judge foil Force of Will! This Saturday 11-21-15 at the Hobby Horse in Taylorville there is a random booster and 1 grab bag draft. Entry fee is $12 and start time is 1:00 PM. Format is one grab bag with 15 random cards, 1 Standard legal Booster and 1 non-Standard legal booster and you build a 40 card minimum deck and I supply basic lands. First place can win a Judge Foil Show and Tell and maybe more based on attendance. There is a Legacy tournament this Saturday at the Hobby Horse in Taylorville. Start time is 1:00 PM and entry fee is $20. Volcanic Island for 1st place and Bayou for 2nd place if we get enough people. There is a all rare draft this Saturday 11-7-15 at the Hobby Horse in Taylorville. Start time is Noon and entry fee is $40. First place wins a Mox Sapphire and second place wins a Mox Jet! 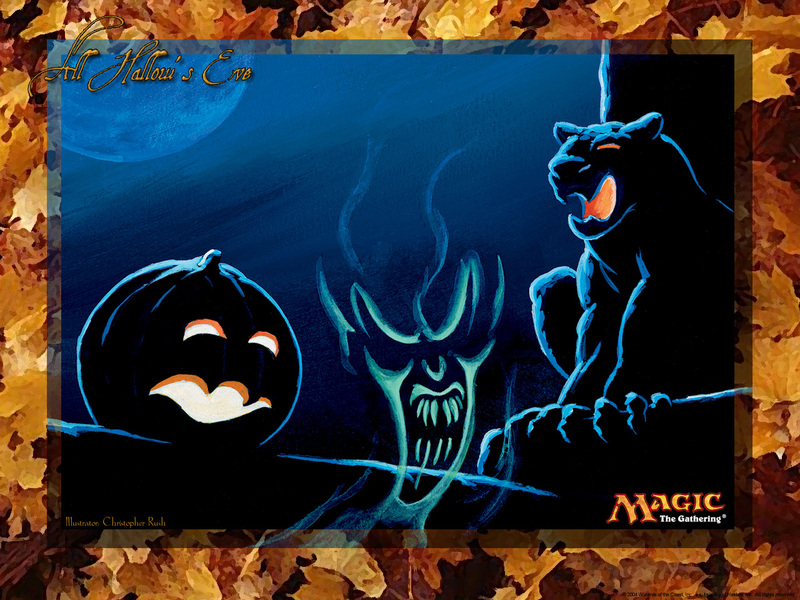 This Saturday 10-31-15 there is a Trick or Treat sealed deck/draft at the Hobby Horse in Taylorville. Start time is Noon and entry fee is $20. Prizes for the top 8 finishers include cards from Legends! 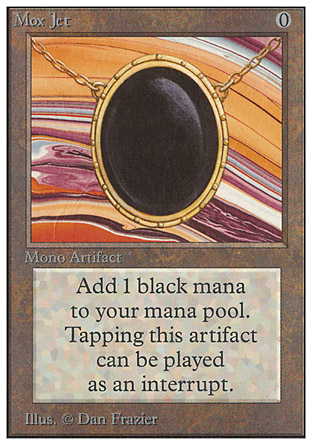 There is a mono black draft this Saturday at the Hobby Horse in Taylorville. Entry fee is $15 and start time is 1:00 PM. First place gets a Mox Jet if we get enough people. There is a peasant draft this Saturday 10-17-15 at the Hobby Horse in Taylorville. Start time is 1:00 PM and entry fee is $10. First place wins a playset of Force of Will if we get enough people. There is a Legacy tournament this Saturday October 10th at 1:00 PM start time. Entry fee is $20 and prizes are either Dual Lands or Zendikar Expedition lands! The first prerelease for Battle for Zendikar at the Hobby Horse is this Saturday 9-26-15 at a 1:00 pm start time and $25 entry fee. 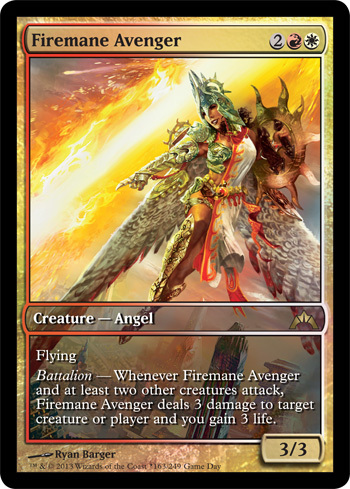 The second prerelease is on Sunday 9-27-15 at 1:30 pm and also a $25 entry fee. There is a Legacy tournament this Saturday at the Hobby Horse in Taylorville. Start time is 1:00 pm and entry fee is $20. First place will win at least a dual land and second place will also win a dual land at least. The Hobby Horse in Taylorville is having a sealed deck on Saturday 9-5-15 at 1:00 PM start time. The format will be 4 grab bags and 2 random booster packs for just a $10 entry fee. First place will win 2 mystery foil cards! There is a Modern tournament this Saturday 8-22-15 at the Hobby Horse in Taylorville. Entry fee is $10 with a start time of 1:00 pm. First place gets a Tarmogoyf if we get enough people. There is a all creature draft this Saturday at the Hobby Horse in Taylorville. The format is 1 booster pack of Legions and 2 grab bags with all random creatures in them. Start time is 1:00 pm and entry fee is $12. 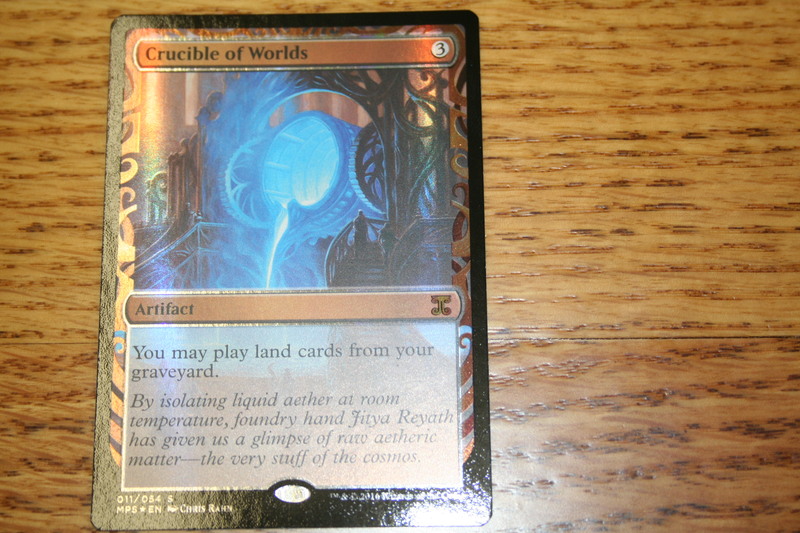 First place gets a judge foil Gaea's Cradle and second place gets a Tarmogoyf if we get enough players. The Origins Game Day events are this Saturday and Sunday 8-8-15 and 8-9-15 at the Hobby Horse in Taylorville. Start times for both days events is at 1:00 PM and both are Standard with $5 entry fees. There is a Legacy tournament this Saturday 8-1-15 at the Hobby Horse in Taylorville. Entry fee is $20 and the start time is 1:00 PM. Prizes include dual lands, Force of Will and more! There is a mono blue draft this Saturday at the Hobby Horse in Taylorville. Start time is 1:00 PM and entry fee is $15. First place gets a Mox Sapphire if we have enough people. The release event for Magic Origins is this Saturday 7-18-15 at the Hobby Horse in Taylorville. It is a sealed deck with a 1:00 pm start time and entry fee is $20. The Prereleases for Origins are this coming Saturday and Sunday 7-11-15 and 7-12-15 at the Hobby Horse in Taylorville. Both start at 1:00 PM both days and both are $25 entry fee. 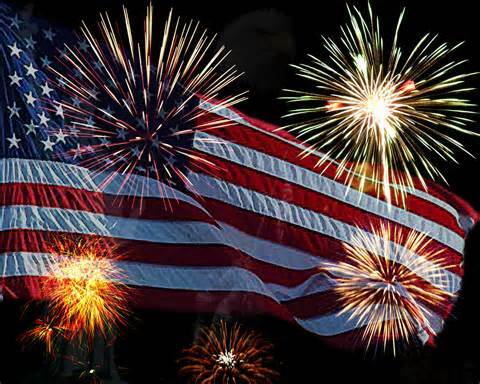 There is a Red, White and Blue draft this Saturday 7-4-15 at the Hobby Horse in Taylorville. Start time is 1:00 PM and entry fee is $15. 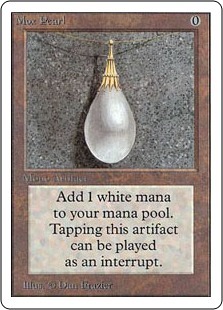 First place gets a Mox Pearl if we get enough people. There is a random pack and double grab bag draft this Saturday 6-27-15 at 1:00 PM start time. Entry fee is just $10. There is a Legacy tournament this Saturday 6-20-15 at the Hobby Horse in Taylorville. Entry fee is $20. 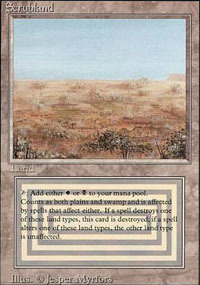 Dual lands for first and second place based on the number of players. There is a grab bag/random pack draft this Saturday 6-13-15 at 1:00 pm at the Hobby Horse in Taylorville. You will draft 2 grab bags and 1 random booster pack. Entry fee is $10. 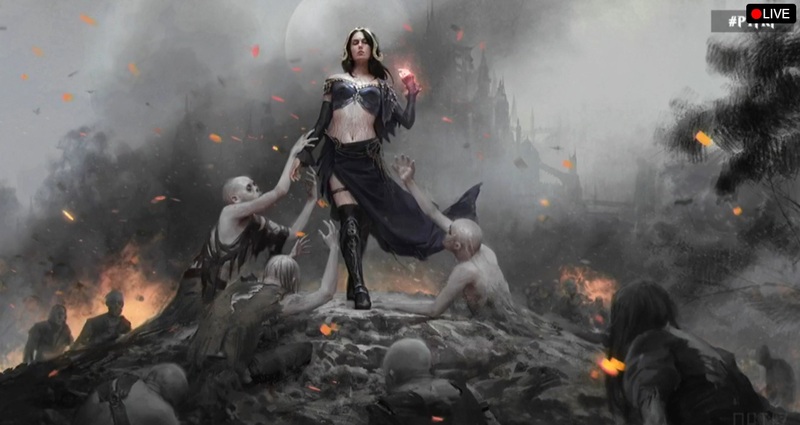 There is a Modern tournament this Saturday 6-6-15. Entry fee is $10 and prizes are Modern Masters 2 booster packs. The all rare draft is this Saturday 5-30-15 at the Hobby Horse in Taylorville. Entry fee is $40 and the start time is Noon. 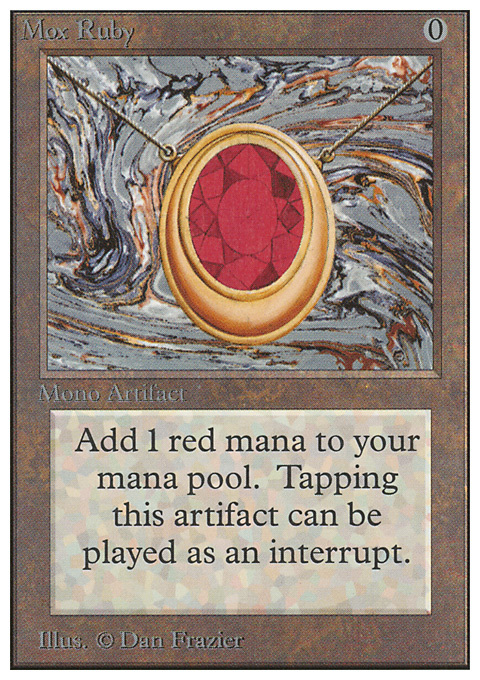 First place gets a Time Walk and second place gets a Mox Ruby! There is a Legacy tournament this Saturday 5-16-15 at the Hobby Horse in Taylorville. Start time is 2:00 PM and entry fee is $20. 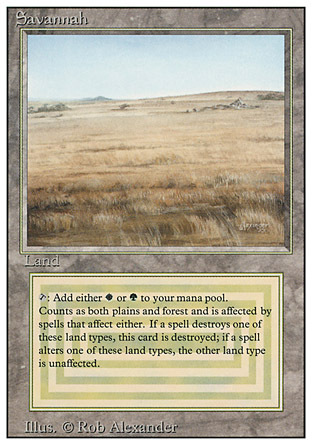 First and second place get at least one dual land each maybe more depending on the number of players. There is a Commander tournament this Saturday 5-9-15 at the Hobby Horse in Taylorville. Start time is 2:00 pm and entry fee is $5. Format is multiplayer free for all. There is a 5/5/5 draft this Saturday 5-2-15 at 2:00 PM at the Hobby Horse in Taylorville. Entry fee is $15 and first place gets a English Moat if we get at least 20 players. This Saturday 4-25-15 the Hobby Horse in Taylorville is having a grab bag league starting at 11:00 am with a $5 entry fee and then starting at 2:00 pm there is a double grab bag/ 1 random booster pack draft with a $10 entry fee. 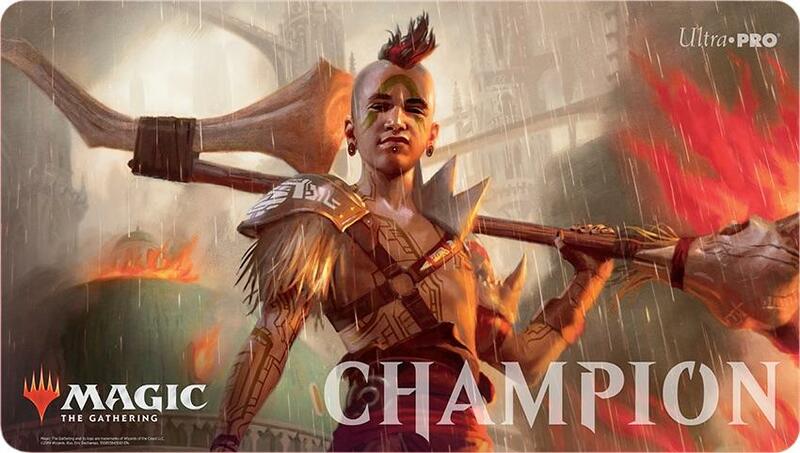 They Dragons of Tarkir Game Day events are this Saturday and Sunday 4-18 and 4-19. The start time for both events is 1:00 PM and both events are Standard format with $5 entry fee. There is a Legacy tournament this Saturday at the Hobby Horse in Taylorville. Start time is 1:00 pm and entry fee is $20. First place gets at least 2 dual lands and second place gets a Force of Will and maybe a dual land is we get enough people. The April Fools draft is this Saturday 4-4-15 at the Hobby Horse in Taylorville. Start time is 1:00 PM and entry fee is $20. First place gets a judge foil Force of Will and second place gets a Chains of Mephistopheles if we get enough people. 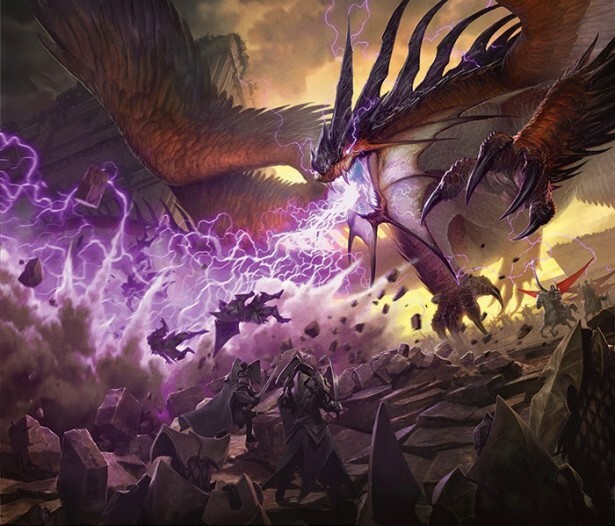 The Prerelease events for Dragons of Tarkir begin this Saturday 3-21-15 at a 1:00 pm start time at the Hobby Horse in Taylorville. The 2nd Prerelease is Sunday 3-22-15 at a 1:30 PM start time and entry fee for both events is $25. The mono green draft is this Saturday 3-14-15 at the Hobby Horse in Taylorville. Start time is Noon and entry fee is $15. Legacy tournament this Saturday at the Hobby Horse in Taylorville. Start time is 2:00 pm and entry fee is $20. First place gets at least 2 dual lands and 2nd place gets at least one dual land. There is a random pack and grab bag draft this Saturday at the Hobby Horse in Taylorville. It is 2 random grab bags 1 non standard and 1 standard legal and then 1 grab bag. Start time is 2:00 pm and entry fee is $12. This Saturday there is a Legacy tournament at the Hobby Horse at 2:00 pm. The entry fee is $20 and there will be dual lands for prizes. 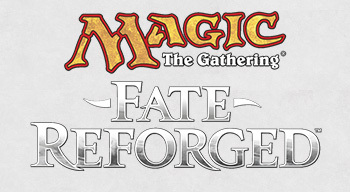 The Fate Reforged Game Days are this Saturday and Sunday 2-14-15 and 2-15-15 at the Hobby Horse in Taylorville. Both of these events are Standard format and both are $5 entry with a start time of 2:00 pm for both days. 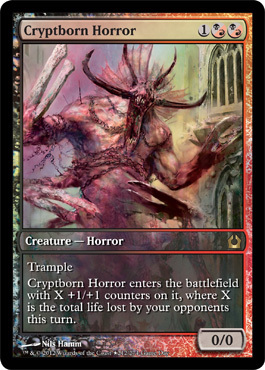 There is a Mono Red draft this Saturday at the Hobby Horse in Taylorville. Start time is Noon and entry fee is $15. First place gets a Mox Ruby if we get at least 20 players. There is a mono red draft this Saturday 2-7-15 at the Hobby Horse in Taylorville. The start time is Noon and entry fee is $20. 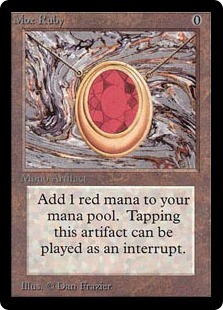 First place gets a Beta Mox Ruby if we have at least 20 players. A new grab bag league starts this Saturday 1-31-15 at 11:00 am at the Hobby Horse in Taylorville. 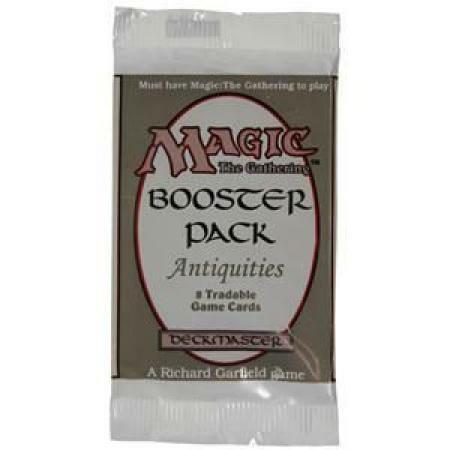 And we also have a 2 grab bag one random booster pack draft at 2:00 pm that day as well. Entry fee is $5 for the league and $10 for the draft. The Fate Reforged release event is this Saturday 1-24-14 at Noon start time. Entry fee is $20 and the format is sealed deck. 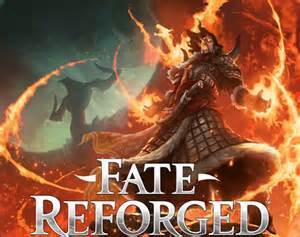 The first Prerelease event for Fate Reforged is this Saturday 1-17-15 at Noon start time at the Hobby Horse in Taylorville. We also have a second Prerelease event Sunday 1-18-15 at 1:00 pm and both events have a $25 entry fee each. There is a Legacy tournament this Saturday 1-10-15 at 2:00 pm start time. Entry fee is $20 and first place gets up to two dual lands and second place gets at least one dual land. This Saturday is our 16 year anniversary draft which will be a 5/5/5 draft. 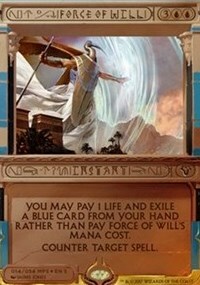 This means repacks with 5 rares, 5 uncommons and 5 commons in each pack and you draft 3 of these packs. Start time is Noon and entry fee is $15. First place gets a Power Nine card! 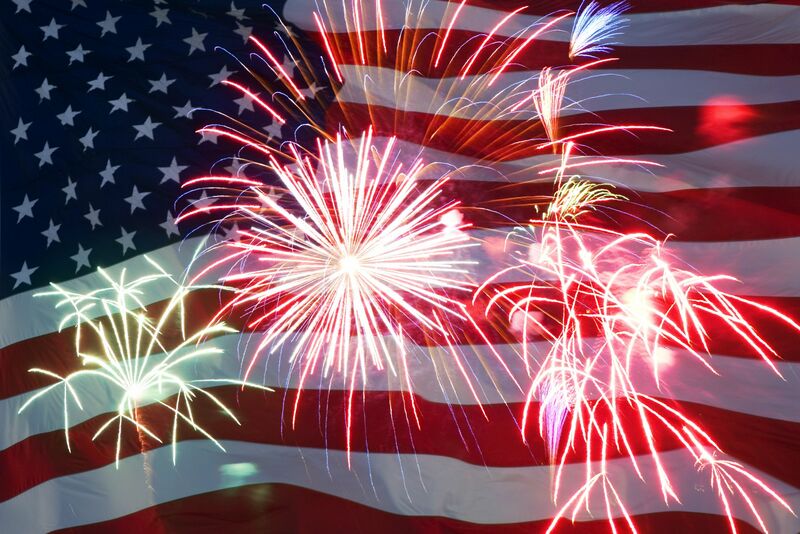 This Friday there is a red, white and green draft starting at 6:00 pm. 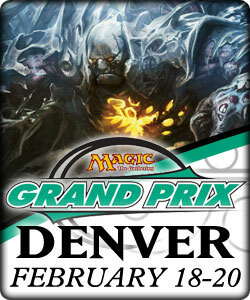 Entry fee is $10 and first place will get 13 Planeswalkers including Jace the Mindsculptor! This Tuesday 12-23-14 at 5:30 PM start time there is a red white and green pre Christmas draft at the Hobby Horse in Taylorville. Entry fee is $10 and first place will get 12 Planeswalkers! This Saturday at Noon there is a red and green Xmas draft at the Hobby Horse in Taylorville. 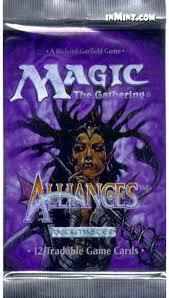 Entry fee is $15 and first place will get a power nine card! This Saturday 12-13-14 there is a grab bag/random pack draft at the Hobby Horse in Taylorville. Start time is 2:00 PM and you get 2 grab bags and 1 random booster pack with entry fee of $10. This Saturday there is a Legacy tournament at the Hobby Horse at 2:00 pm start time. 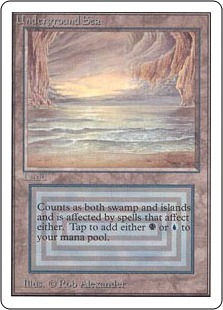 Entry fee is $20 and first place gets at least 2 dual lands and 2nd place gets at least 1 dual land. This Saturday there is a Commander tournament at the Hobby Horse in Taylorville. Start time is 2:00 pm. There is a Modern tournament this Saturday at 2:00 PM at the Hobby Horse in Taylorville. Entry fee is $10. The all rare draft is this Saturday 11-15-14 at Noon at the Hobby Horse in Taylorville. 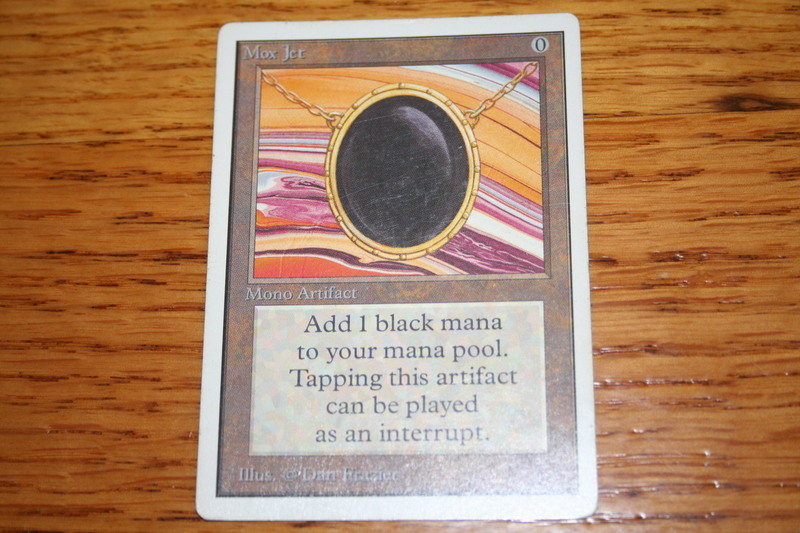 Entry fee is $40 and first place gets a Unlimited Time Walk and 2nd place gets a Unlimited Mox Jet. 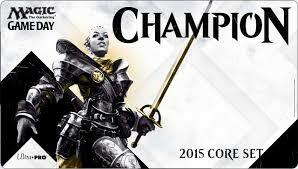 This Saturday 11-8-14 at 2:00 PM at the Hobby Horse there is a Commander tournament. Entry fee is $8 and it is multiplayer format. The annual Trick or Treat tournament is happening this Saturday 11-1-14 at the Hobby Horse in Taylorville. The start time is Noon and entry fee is $20. First place gets a Unlimited Mox Jet. This Saturday 10-25-14 there is a mono black draft at the Hobby Horse in Taylorville. Entry fee is $15 and start time is Noon. First place gets a Mox Jet if we have enough people. 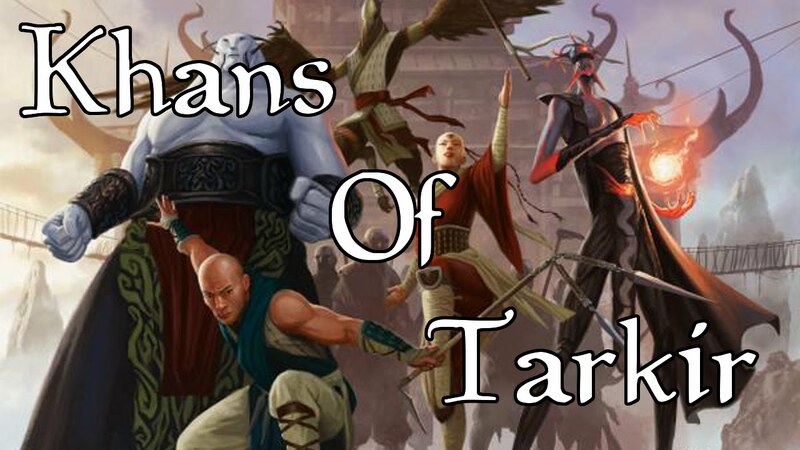 The Khans of Tarkir Game Day is this Saturday 10-18-14 at The Hobby Horse in Taylorville. Start time is 2:00 pm. The format is Standard and entry fee is $5. This Saturday 10-11-14 at the Hobby Horse in Taylorville there is a Legacy tournament. Start time is 2:00 PM and entry fee is $20. First place gets at least 2 dual lands and 2nd place gets at least 1 dual land. 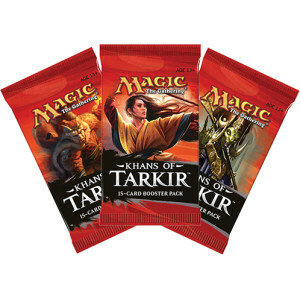 This Saturday at the Hobby Horse in Taylorville there is a Khans of Tarkir sealed deck at 2:00 PM. Entry is $20 and you get 6 boosters of Khans for your sealed deck. Also that same Saturday at 11:00 AM start time is the start of Khans league play which is also $20. The Prerelease for Khans of Tarkir is this Saturday 9-20-14 at Noon and we will have a second one Sunday 9-21-14 at 1:30 PM at the Hobby Horse in Taylorville. Entry fee is $25 for each event. There is a Legacy tournament this Saturday 9-13-14 at the Hobby Horse in Taylorville. Start time is 2:00 PM and entry fee is $20. There is a 2 grab bag/1 random pack draft this Saturday at the Hobby Horse in Taylorville. Entry fee is $10 and start time is 2:00 PM. 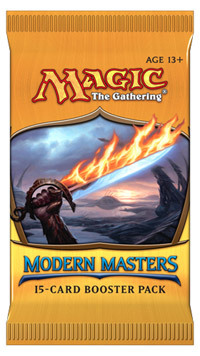 There is a Modern Masters repack draft this Saturday 8-30-14 at the Hobby Horse in Taylorville. Entry fee is just $10 and start time is Noon. There is a Modern tournament this Saturday 8-23-14 at the Hobby Horse in Taylorville. Start time is 2:00 PM and entry fee is $10. First place gets a Tarmogoyf! The mono blue shark week draft is this Saturday 8-16-14 at the Hobby Horse in Taylorville. Start time is 1:00 PM and entry fee is $15. 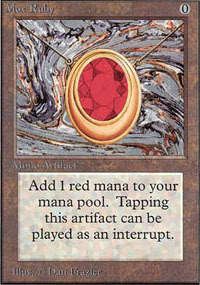 If we get enough people first place gets a Mox Sapphire. There is a Legacy tournament this Saturday at 2:00 PM at the Hobby Horse in Taylorville. Entry fee is $20 and first place gets at least 2 dual lands with 2nd place getting at least 1 dual land. There is a random pack and grab bag draft this Saturday 7-26-14 at 2:00 PM at the Hobby Horse in Taylorville. Entry fee is just $10 and you will draft one standard legal booster pack, one non standard legal booster pack and one grab bag. There is a Modern tournament this Saturday 7-19-14 at the Hobby Horse in Taylorville. Start time is 2:00 PM and entry fee is $10. First place gets a Tarmogoyf! 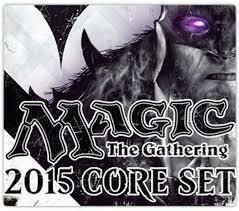 The M15 Prerelease is this Saturday 7-12-14 at 2:00 PM at the Hobby Horse in Taylorville. Entry fee is $25. The red white and blue draft is this Saturday 7-5-14 at the Hobby Horse in Taylorville. Start time is 2:00 PM and entry fee is $15. 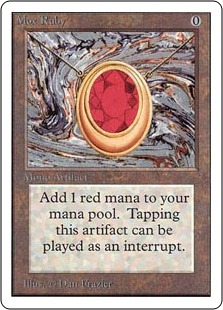 First place wins a Mox Ruby! There is a Legacy tournament this Saturday at the Hobby Horse in Taylorville. Entry fee is $20 and start time is 2:00 PM. First place gets at least 2 dual lands! There is a Conspiracy draft this Saturday at the Hobby Horse in Taylorville. Start time is 2:00 PM and entry fee is $15. This Saturday 6-14-14 is the start of league play with grab bags at the Hobby Horse in Taylorville. Start time is 11:00 AM and entry fee is $5.00. The all rare draft is this Saturday 6-7-14 at Noon at The Hobby Horse in Taylorville. Entry fee is $30. First place gets a Unlimited Ancestral Recall and a Unlimited Time Walk! 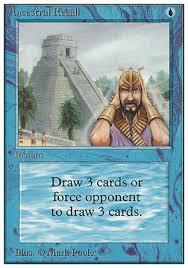 This Saturday 5-31-14 there is a Modern tournament at the Hobby Horse in Taylorville. Start time is 2:00 PM entry fee is $10 and first place gets a Tarmogoyf if we get enough people. 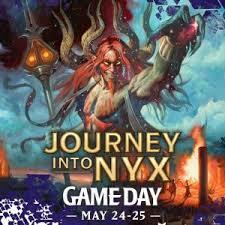 The Journy into Nyx Game Day is this Saturday 5-24-14 at 2:00 PM at the Hobby Horse in Taylorville. The format is Standard and entry fee is just $5. 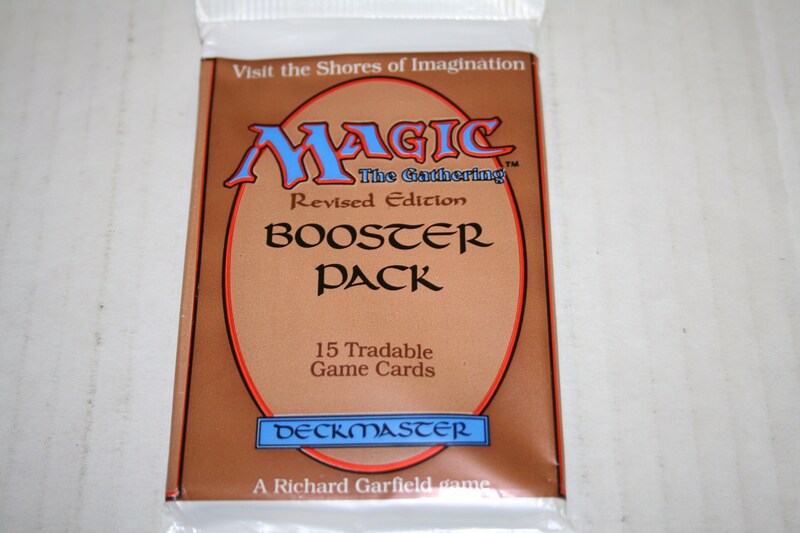 There is a random booster pack/grab bag draft at the Hobby Horse on Saturday 5-17-14. Start time is 2:00 PM and entry fee is $20. The format is 2 random booster packs and one grab bag. First place gets 15 rare foil cards and 2 super secret booster packs! Second place gets a booster box if we get enough people. The Journy to Nyx Release event is this Saturday 5-3-14 at Noon. 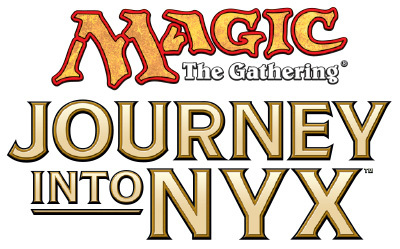 Entry fee is $20 and it is Journy to Nyx sealed deck. This is also week one of Journy to Nyx league play. The Journy into Nyx prerelease tournaments are this Saturday and Sunday at the Hobby Horse in Taylorville. Both Prerelease events are $25 entry fee and Saturday's event starts at Noon and Sunday's event starts at 1:00 PM. There is a Legacy tournament at the Hobby Horse in Taylorville on Saturday 4-19-14 at 2:00 PM. Entry fee is $20 and first place gets a Tarmogoyf and 1 dual land while 2nd place gets 2 dual lands. There is a Modern tournament this Saturday 4-12-14 at 2:00 PM at the Hobby Horse in Taylorville. Entry fee is $10 and first place gets a Modern Masters Tarmogoyf! This Saturday 4-5-14 is the start of the grab bag league play. The first one starts at 10 AM and the second one at 1:00 pm and then the third one at 4:00 PM. The April Fools Day draft is this Saturday 3-29-14 at Noon at the Hobby Horse in Taylorville. Entry fee is $20. First place gets the power nine. There is a Modern tournament this Saturday 3-22-14 at Noon at the Hobby Horse in Taylorville. 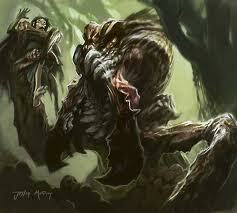 Entry fee is $10 and first place will take home a Tarmogoyf! 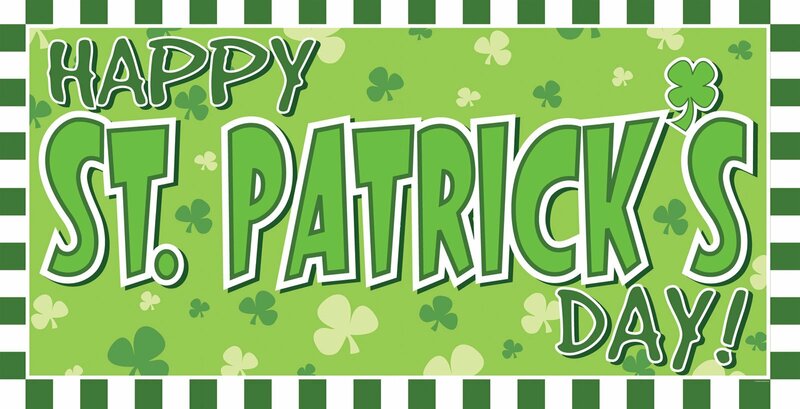 There is a mono green St. Patrick's Day draft this Saturday 3-15-14 at 2:00 PM at the Hobby Horse in Taylorville. 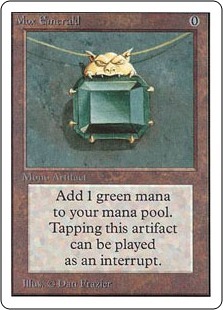 Entry fee is $15 and first place gets a Unlimited Mox Emerald! There is a Legacy tournament this Saturday at the Hobby Horse in Taylorville. Start time is 2:00 PM and entry fee is $20. First place gets a foil Polluted Delta and a Underground Sea and second place gets two dual lands. The Born of the Gods game day is this Saturday 3-1-14 at 2:00 pm at the Hobby Horse. 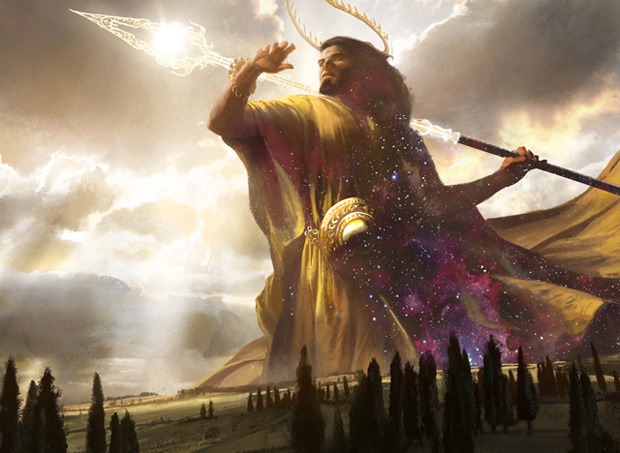 This Saturday at 2:00 pm we have a Theros/Born of the Gods draft. Entry is $12. The mono red draft is this Saturday at the Hobby Horse in Taylorville. Start time is 2:00 PM and entry fee is $15. First place gets a Mox Ruby! The mono red draft is this Saturday 2-15-14 at the Hobby Horse in Taylorville. Start time is Noon and entry fee is $15. First place gets a Unlimited Mox Ruby and 2nd place gets a booster box. 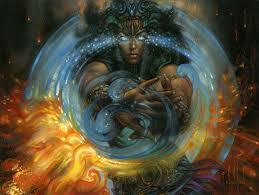 The Born of the Gods League begins this Saturday 2-8-14 at Noon at the Hobby Horse in Taylorville. Entry fee is $20 and you get 6 booster packs of Born of the Gods. Also this Friday night is a Born of the Gods draft at 6:00 PM and a $12 entry. 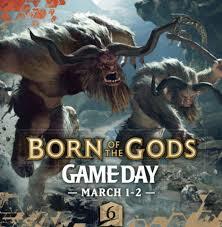 The Born of the Gods Prerelease events are this Saturday and Sunday 2-1-14 and 2-2-14 at the Hobby Horse in Taylorville. The start time is Noon for Saturday 2-1-14 and at 2:00 pm for Sunday 2-2-14. Entry fee is $25 for both events. There is a Legacy tournament this Saturday 1-25-14 at the Hobby Horse in Taylorville. Start time is Noon and entry fee is $20. First place gets 4 dual lands, second place gets 2 dual lands and 3rd and 4th each get one dual land if we get enough people. This Saturday 1-18-14 there is a random pack/grab bag draft at the Hobby Horse in Taylorville. Start time is Noon and entry fee is $12. You get to draft 2 totally random booster packs and 1 grab bag. First place gets a booster box! 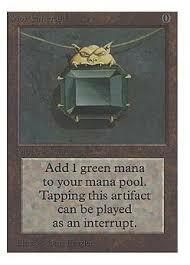 They Artifact Draft part 2 is this Saturday 1-11-14 at Noon at the Hobby Horse in Taylorville. 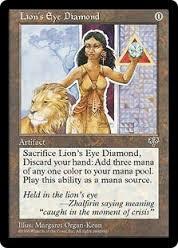 Entry fee is $10 and first place gets 2 Lion's Eye Diamond while 2nd place gets 1 Lion's Eye Diamond. There is a Modern tournament this Saturday 1-4-14 at Noon at the Hobby Horse in Taylorville. Entry fee is $10 and first place gets a booster box if we get enough people. This Saturday 12-28-13 at the Hobby Horse in Taylorville there is a 15 year anniversary grab bag draft. Start time is 2:00 PM and entry fee is $15. Random door prizes to be given out and first place gets 15 cards that I think are cool and are a guaranteed $300 or more value if we get at least 20 people. Other random prizes to be given out during the tournament so show up if you can for a fun time!! This Saturday 12-21-13 there is a mono white draft at the Hobby Horse in Taylorville. Start time is 2:00 PM and entry fee is $15. 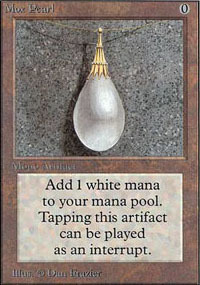 First place gets a Mox Pearl if we get enough people. 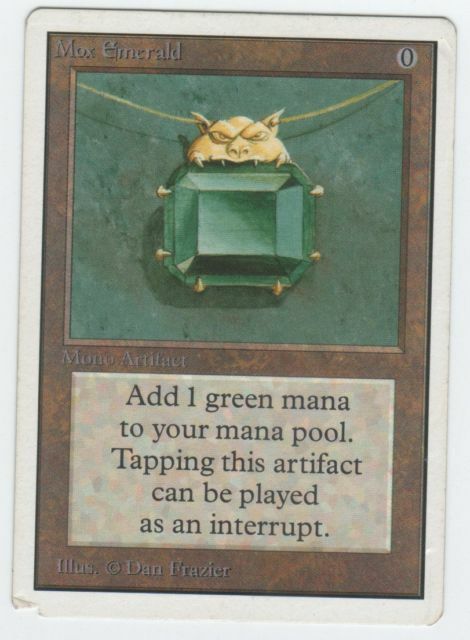 There is a artifact draft this Saturday at the Hobby Horse in Taylorville. Start time is 2:00 PM and entry fee is $15. 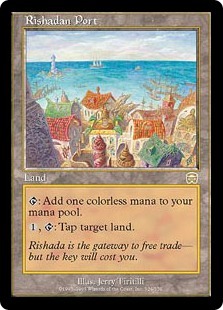 First place gets a Mishra's Workshop if we get enough people. The all rare draft is this Saturday 12-7-13 at NOON start time. Entry fee is $30. Super packs will be present! 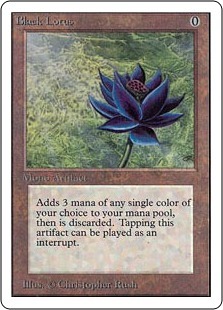 Black Lotus for first place and Mox Ruby for second place!! There is a random pack/grab bag draft this Saturday 11-30-13 at the Hobby Horse in Taylorville. Start time is 2:00 PM and entry fee is $10. First place gets a booster box and a playmat if we get enough people. There is a Modern tournament this Saturday at the Hobby Horse in Taylorville. Start time is 2:00 PM and entry fee is $10. First place gets a booster box if we get enough people. There is a Legacy tournament this Saturday 11-16-13 at the Hobby Horse in Taylorville. Start time is 2:00 PM and entry fee is $20. First place gets 4 random dual lands and 2nd place gets 2 random dual lands if we have enough players. 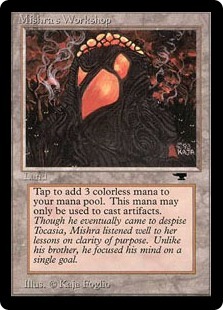 There is a mono black draft this Saturday at the Hobby Horse in Taylorville. Start time is Noon and entry fee is $20. First place gets a Unlimited Mox Jet and second place gets a booster box if we have enough people. 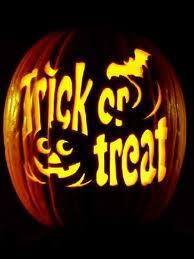 The Trick or Treat tournament is this Saturday 11-2-13 at the Hobby Horse in Taylorville. Start time is Noon and entry fee is $20. First place gets their choice of one of the following lands: Tabernacle at Pendral Vale, Mishra's Workshop, Library of Alexandria or Bazaar of Baghdad while 2nd place gets 2nd pick then 3rd place 3rd pick and 4th place gets the 4th land. This Saturday 10-26-13 is a Modern tournament at the Hobby Horse in Taylorville. Entry fee is $10 and first place gets a booster box if we get enough people. Theros gameday is this Saturday 10-19-13 at the Hobby Horse in Taylorville. The start time is 2:00 pm. Entry fee is $5 and the format is Standard. There is a tier draft this Saturday 10-12-13 at the Hobby Horse in Taylorville. Start time is 2:00 pm and entry fee is $15. There is a Legacy tournament at the Hobby Horse in Taylorville this Saturday 10-5-13 at 2:00 pm. Entry fee is $20 and first place gets 4 random dual lands while 2nd place gets 2 random dual lands. 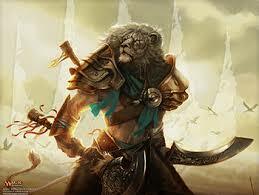 This Saturday 9-28-13 is the release event for Theros. Start time is noon. It is sealed deck and you get 6 booster packs. Entry fee is just $20 and this is also the start of Theros league. 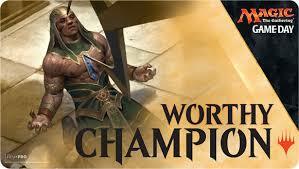 The Prerelease tournaments for Theros start this Saturday 9-21-13 at 10:00 AM at the Hobby Horse in Taylorville. Entry fee is $25 for each Prerelease and the first one starts at 10:00 AM on Saturday and then the next one starts at 2:00 PM and then the last one for Saturday is 6:00 PM start time. The start times and entry fee is the same for Sunday 9-22-13, $25 entry per tournament first one at 10:00 AM then 2:00 PM and then 6:00 PM and we will open at 8:30 AM both days so please show up at least 20-25 minutes before the start time of the event you want to attend as the start times will be when the rounds start for each event. There is a Modern tournament this Saturday 9-14-13 at the Hobby Horse. Start time is noon and entry fee is $10. First place gets a booster box if we get enough players. This Saturday 9-7-13 at 2:00 PM is the M14 Magic Celebration. Entry is FREE! There is a random pack draft this Saturday 8-31-13 at the Hobby Horse in Taylorville. Start time is 2:00 PM and entry fee is $20. First place gets a booster box and a playmat if we get enough players. There is a Legacy tournament this Saturday 8-24-13 at 2:00 PM at the Hobby Horse in Taylorville. Entry fee is $20 and 1st place gets 3 random dual lands and 1 random Onslaught fetchland and 2nd place gets 1 random dual and 1 random Onslaught fetchland. Prizes are always subject to attendance so show up if you can! There is a Modern tournament this Saturday 8-17-13 at the Hobby Horse in Taylorville. Start time is 2:00 PM and entry fee is $10. If we get enough people first place gets a booster box. This Saturday 8-10-13 is M14 Gameday at the Hobby Horse in Taylorville. The start time is 2:00 PM and the format is Standard with a $5 entry fee. There is a mono blue draft this Saturday 8-3-13 at the Hobby Horse in Taylorville. Start time is Noon and entry fee is $20. 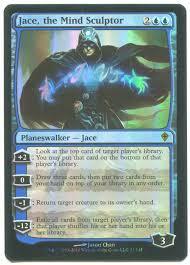 If we get at least 30 contestants then first place gets a foil Jace the Mind Sculptor! This Saturday 7-27-13 at the Hobby Horse in Taylorville there is a random pack/grab bag draft. Start time is 2:00 PM and entry fee is $15. Format is 2 random booster packs and 1 grab bag. There is a Legacy tournament this Saturday 7-20-13 at the Hobby Horse in Taylorville. Start time is 2:00 PM and entry fee is $20. First place gets 4 random dual lands and 2nd place gets 2 random dual lands. The Prerelease for M14 is this Saturday 7-13-13 at the Hobby Horse in Taylorville. Start time is 11:00 AM and entry fee is $25. It is sealed deck and you get 6 M14 booster packs. There is a Red White and Blue draft this Saturday at 2:00 PM at the Hobby Horse in Taylorville. Entry fee is just $10 and if we get enough people first place gets a booster box of Modern Masters! There is a grab bag/random pack draft this Saturday 6-29-13 at 2:00 PM at the Hobby Horse in Taylorville. Entry fee is $15 and 1st place gets booster packs of Modern Masters. There is a Modern tournament this Saturday at the Hobby Horse in Taylorville. Start time is 2:00 PM and entry fee is $10. If we get enough people first place will get a booster box. This Saturday 6-15-13 there is a All Rare draft at the Hobby Horse in Taylorville. Start time is 11:00 AM but the store will be open at 9:00 AM for those who want to sign up early. Seating is limited to 88 people so sign up early! Entry fee is $25. 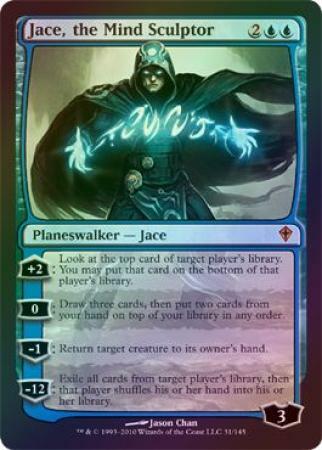 First place gets a Unlimited Ancestral Recall, 2nd place gets a Moat, 3rd and 4th place each gets a Jace the Mindsculptor! Super packs will be involved so don't miss out on this once a year event! 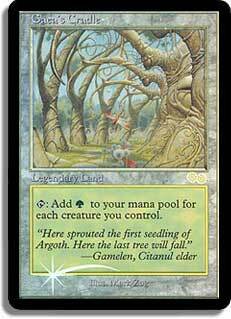 There is a Modern Masters draft this Saturday 6-8-13 at the Hobby Horse in Taylorville. Start time is Noon and entry fee is $25. The new League starts this Saturday 6-1-13 at the Hobby Horse in Taylorville. Start time is 11:00 AM and entry fee is $5 for the first League and then $3 for the second League play that same day. Prizes are booster packs of Dragon's Maze. This Saturday 5-25-13 is Game Day at the Hobby Horse in Taylorville. Start time is 2:00 PM and the format is Standard. Entry fee is just $5.00. This Saturday 5-18-13 at the Hobby Horse in Taylorville there is a random pack/grab bag draft. The start time is 2:00 PM and entry fee is $10. First place gets a Tgoyf. This Saturday 5-11-13 there is a Legacy tournament at the Hobby Horse in Taylorville. Start time is 2:00 PM. Entry fee is $20. First place gets 2 dual lands and 1 Onslaught fetchland and 2nd place gets 1 dual land and 1 Onslaught fetchland. The Dragon's Maze Release Event is this Saturday 5-4-13 at 2:00 PM at the Hobby Horse in Taylorville. The format is sealed deck and you get 6 boosters of Dragon's Maze to build a minimum 40 card deck. Entry fee is $25. The Dragon's Maze Prerelease is this Saturday 4-27-13 at the Hobby Horse in Taylorville. Start time is 11:00 AM and entry fee is $25. This Saturday 4-20-13 there is a tier draft at the Hobby Horse in Taylorville. Start time is 2:00 PM and entry fee is just $10. The format is you draft a 8 card booster pack first, then a 10 card grab bag, then a 12 card booster pack and finally a 15 card booster pack. First place gets a Tarmogoyf and second place gets booster packs. The March Madness drafts end this Saturday 3-30-13 at the Hobby Horse. Start time is 2:00 PM and entry fee is $15. 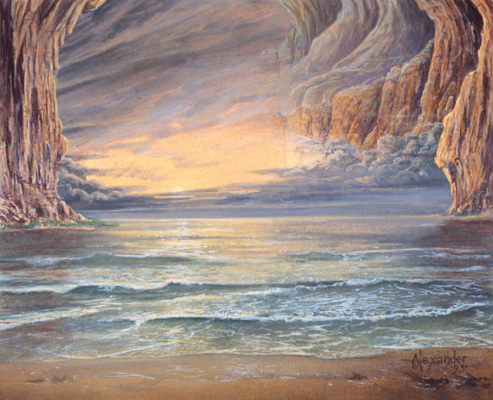 1st place gets a Revised Underground Sea. This Saturday 3-23-13 at 2:00 PM the March Madness draft continues at the Hobby Horse. 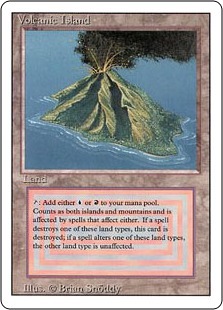 Entry fee is $15 and 1st place gets a Revised Volcanic Island. This Saturday 3-16-13 at the Hobby Horse in Taylorville there is a mono green draft. Start time is 2:00 PM and entry fee is $10. First place gets a Unlimited Mox Emerald and second place gets a Tarmogoyf. This Saturday 3-2-13 at the Hobby Horse in Taylorville at 2:00 is a March Madness draft. It is $15 entry fee and it consists of 2 grab bags and 1 random booster pack. 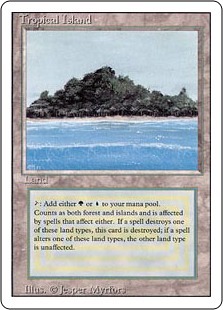 First place gets a random dual land. The Gatecrash Gameday is this Saturday at 2:00 PM at the Hobby Horse in Taylorville. The format is Standard and entry fee is just $5. This Saturday 2-16-13 at the Hobby Horse in Taylorville there is a mono red draft with a start time of 2:00 PM. Entry fee is $10. First place gets a Unlimited Mox Ruby and 2nd place gets a booster box. There is a Legacy tournament this Saturday 2-9-13 at the Hobby Horse in Taylorville. Start time is 2:00 PM and entry is $20. First place gets 2 Dual Lands, 1 Force of Will, 1 Wasteland, 1 Onslaught fetch land and maybe more, prizes based on attendance as always. The Gatecrash release event is this Saturday 2-2-13 at the Hobby Horse in Taylorville. Start time is 2:00 PM and entry fee is $20. 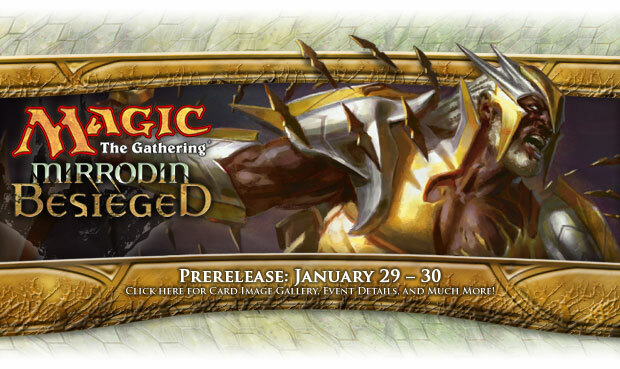 The Gatecrash Prerelease is this Saturday 1-26-13 at the Hobby Horse in Taylorville. Start time is 11:00 AM and entry fee is $25. There is a two headed giant draft this Saturday 1-12-13 at the Hobby Horse in Taylorville. Start time is 2:00 PM and entry fee is $10 per person or $20 per team. First place team gets a couple special foil prizes and some booster packs. There is a special grab bag draft draft this Tuesday at the Hobby Horse in Taylorville. The start time is 5:30 PM and entry fee is $10. You get a regular grab bag, a peasant grab bag and a reject rares grab bag to draft and first place gets a special foil and some booster packs and second place gets a special foil and some booster packs. There is a tier draft this Saturday at the Hobby Horse in Taylorville. Start time is 2:00 PM and entry fee is $10. You get to draft first a random 8 card booster pack, then a 10 card grab bag, then a random 12 card booster pack and finally a 15 card booster pack. First place gets booster packs based on attendance plus a surprise foil card or two. There is a mono white draft this Saturday 12-22-12 at the Hobby Horse in Taylorville. Start time is 2:00 PM and entry fee is $10. First place is a Unlimited Mox Pearl and 2nd place gets a booster box. There is a Legacy tournament this Saturday 12-15-12 at the Hobby Horse in Taylorville. Start time is Noon and entry fee is $20. First place gets 5 random dual lands and 2nd place gets 1 random dual land and 2 random Onslaught fetch lands. Prizes based on attendance as always so show up if you can! There is a All Rare Draft this Saturday 12-8-12 at the Hobby Horse in Taylorville. Start time is 11:00 AM and entry fee is $30. 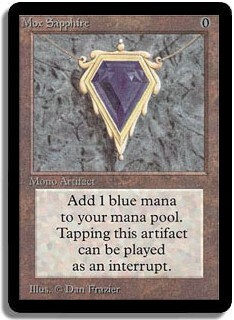 First place gets a Beta Mox Sapphire! Second place gets a Library of Alexandria and more! Everyone drafts 3 grab bags which each have 15 random rares in them and then everyone will get one card from a "super-pack". There is a all rare draft this Saturday 12-8-12 at the Hobby Horse in Taylorville. Entry fee is $30 and the start time is 11:00 AM. Super packs will be included along with 3 all rare 15 card grab bags per person. There is a modern box tournament this Saturday 12-1-12 at the Hobby Horse in Taylorville. Start time is 2:00 PM and entry fee is $10. There is a leftovers grab bag draft at the Hobby Horse in Taylorville this Saturday at 11:00 AM. Entry fee is $10 and you will get 3 random themed grab bags to draft. First place gets some leftover prizes such as a Tropical Island, a Wasteland and a Force of Will. There is a random pack draft this Saturday at the Hobby Horse in Taylorville. It is 2 random booster packs and 1 grab bag. Start time is 2:00 PM and entry fee is $10. There is a Modern tournament this Saturday 11-3-12 at the Hobby Horse in Taylorville. Start time is 2:00 PM and entry fee is $10 with first place winning a booster box if enough people are present. 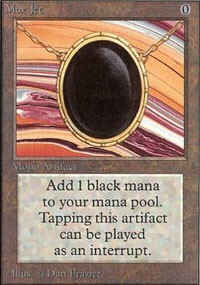 This Tuesday 10-30-12 is a mono black draft at the Hobby Horse in Taylorville. Start time is 6:00 PM and entry fee is $13. First place is a Unlimited Mox Jet and 2nd place gets a foil Dark Confidant from Ravnica. Prizes are based on attendance so show up and have some fun! 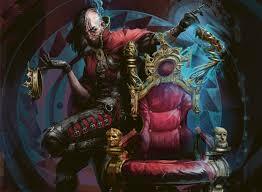 This Saturday 10-27-12 is the Return to Ravnica Gameday at the Hobby Horse in Taylorville. The format is Standard. Start time is 2:00PM and entry fee is just $5. The annual Trick or Treat tournament is this Saturday at the Hobby Horse in Taylorville. Start time is 11:00 AM and entry fee is $13. 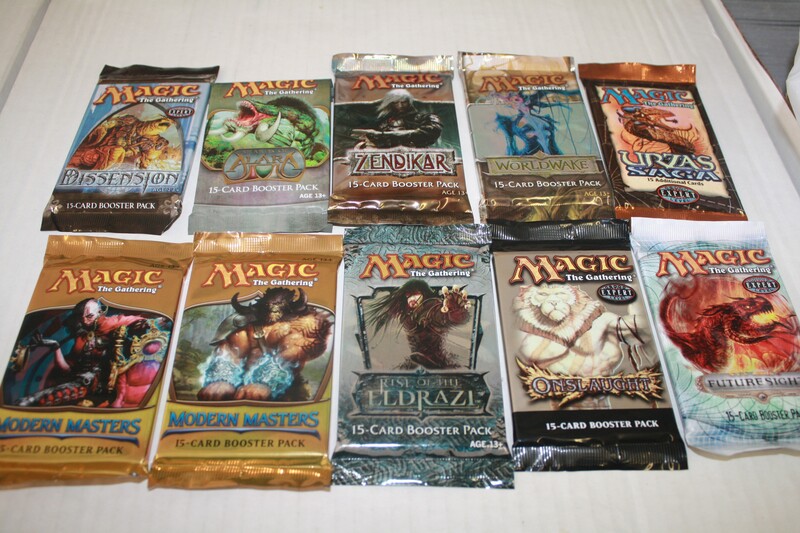 You will get 3 random "themed" grab bags to open in your sealed deck pool and then you will draft one 5/5/5 grab bag. 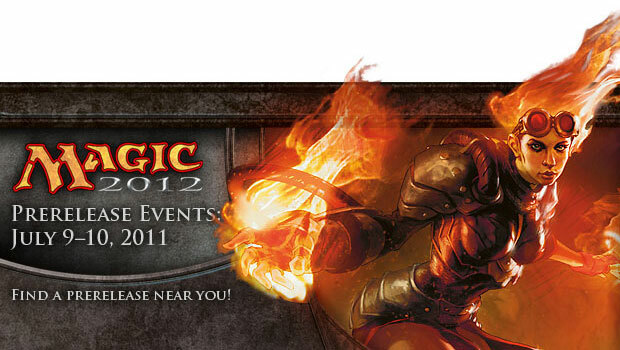 Themes include Planeswalkers, Miracle cards, Goblins, burn and many many more! First place gets a Unlimited Mox Jet and 2nd place gets a booster box of Return to Ravnica if enough people show up. Stop by and have a fun time! There is a Legacy tournament this Saturday 10-13-12 at 2:00 PM at the Hobby Horse in Taylorville. Entry fee is $20. First place gets 6 random dual lands and 2nd place gets a playset of Wastelands. 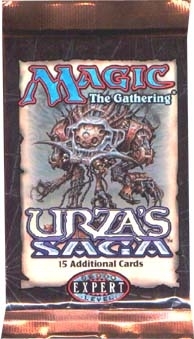 The Return to Ravnica release event is this Saturday 10-6-12 at the Hobby Horse at 2:00 PM. Entry fee is just $20. Format is sealed deck. 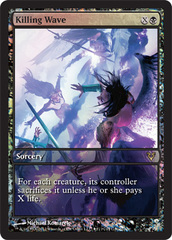 The Return to Ravnica Prerelease at the Hobby Horse in Taylorville starts at 11:00 AM this Saturday 9-29-12. Entry fee is $25, pick your Guild and have some fun! There is a Modern tournament this Saturday 9-22-12 at the Hobby Horse in Taylorville. Entry fee is $10. Start time is 2:00 PM and first place is a booster box. There is a peasant draft this Saturday 9-15-12 at the Hobby Horse in Taylorville. Start time is 2:00 PM and entry fee is just $5. First place gets a Force of Will and second place gets a Wasteland. There is a random pack draft this Saturday 9-8-12 at the Hobby Horse in Taylorville. Start time is 2:00 PM and you get 2 random booster packs and one grab bag. 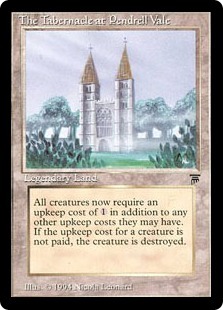 There is a Legacy tournament at the Hobby Horse in Taylorville this Saturday 9-1-12. Start time is 2:00 PM and entry fee is $20. First place is 3 Underground Sea and 2nd place gets 2 Force of Will. There is a Modern tournament at the Hobby Horse in Taylorville this Saturday 8-25-12 at 2:00 PM. Entry fee is $10 and 1st place gets a booster box if we have enough people. There is a random pack draft this Saturday 8-18 at the Hobby Horse in Taylorville. Start time is 2:00 PM and entry fee is $10. You get 2 random booster packs and one grab bag. There is a mono blue draft this Saturday 8-11-12 at the Hobby Horse in Taylorville. Start time is 11:00 AM and entry fee is $20. First place gets a Beta Mox Sapphire, second place gets a playset of Force of Will and third and fourth get one Mana Drain each. Prizes are based on attendance so show up if you can!. M13 Game Day is this Saturday at the Hobby Horse in Taylorville. Start time is 2:00 PM and entry fee is $5.00. The format is Standard. There is a Legacy tournament this Saturday 7-28-12 at the Hobby Horse in Taylorville. Start time is 2:00 PM and entry fee is $20. 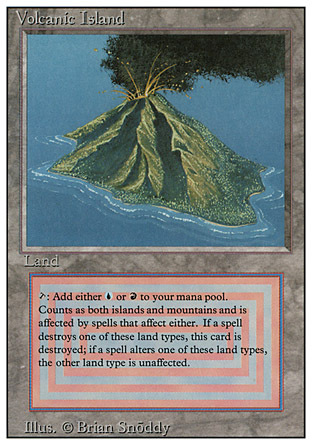 First place is a playset of Volcanic Island and second place gets 2 random dual lands. This Saturday 7-21 at the Hobby Horse in Taylorville is a random pack draft with 2 random Magic booster packs and one grab bag. Start time is 2:00 PM and entry fee is $10. There is a M13 sealed deck this Saturday 7-14 at the Hobby Horse in Taylorville. Start time is 2:00 PM and entry fee is $25. 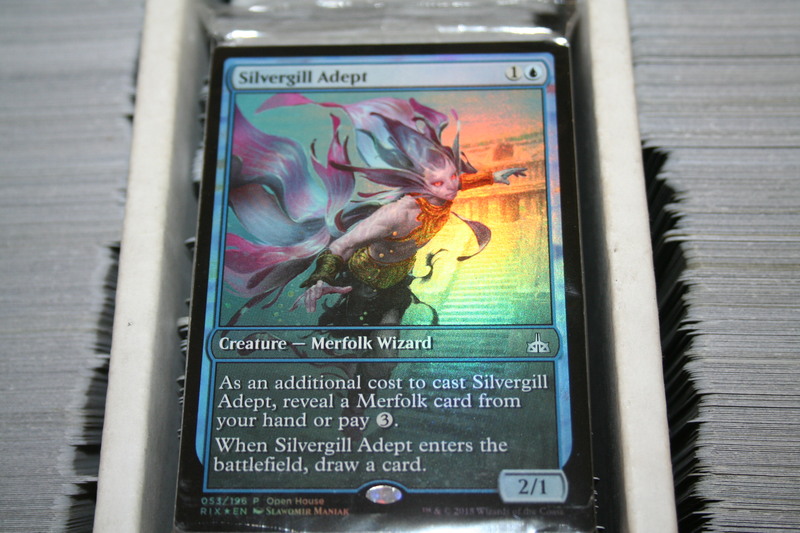 Special foils for everyone while supplies last! There is a Red/White/Blue draft this Saturday at the Hobby Horse in Taylorville. Start time is 2:00 PM and entry fee is $12. First place is a Unlimited Mox Ruby and second place is a booster box of Avacyn Restored. Prizes based on attendance so show up if you can! There is a Legacy tournament this Saturday at the Hobby Horse in Taylorville. Start time is 2:00 PM and 1st place is 3 random dual lands and 2 random Onslaught fetchlands with 2nd place 1 random dual land and 2 random fetchlands. Entry fee is $20. The all rare draft is this Saturday June 23rd at the Hobby Horse in Taylorville. Start time is 11:00 AM and entry fee is $25. Format is draft and players receive 3 grab bags with 15 random rares in each and then each player will draft 1 more card out of a "super pack" which will have original dual lands, planeswalkers and many more awesome rares! First place is a Unlimited Time Walk, second place is a Unlimited Time Vault and 3rd and 4th each get a Unlimited Timetwister. Random pack draft this Saturday at the Hobby Horse in Taylorville. Start time is 2:00 PM and entry fee is $10. Format is 2 random MTG Booster Packs and 1 grab bag. A pack of Legends will be cracked by someone. League Play begins this Saturday at 11:00 AM at the Hobby Horse in Taylorville. Entry fee is just $5 and you get 5 grab bags with 15 random cards in each to build your 40 card minimum sealed deck. Magic Game Day is this Saturday 5-26 at the Hobby Horse in Taylorville. The format is Standard and start time is 1:00 PM. 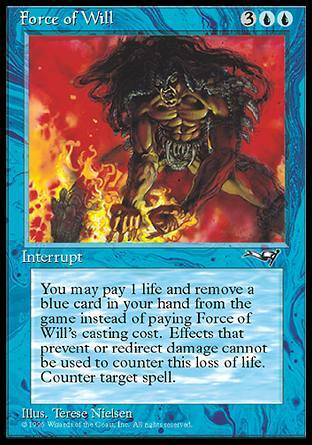 Entry fee is just $5 and the top 8 get a foil promo Killing Wave. Legacy tournament this Saturday 5-19-12 at the Hobby Horse in Taylorville. Start time is 2:00 PM. 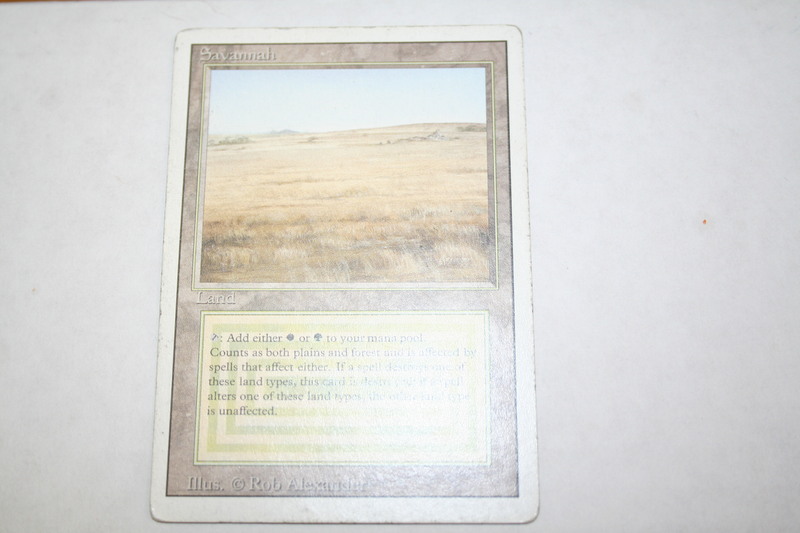 Entry fee is $20 and first place is a playset of Scrublands and second place is 2 Badlands. 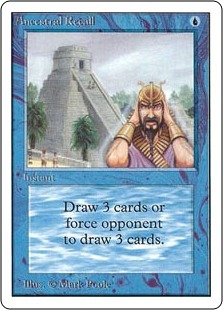 This Saturday 5-12-12 at 2:00 PM at the Hobby Horse in Taylorville is a random pack draft. You get two random 15 card MTG booster packs and one 15 card grab bag. Entry fee is $10. 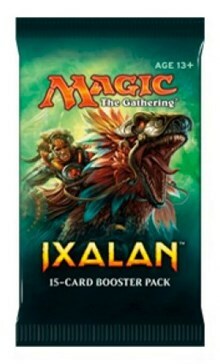 First place prize will be booster packs of Avacyn Restored based on how many people are playing. 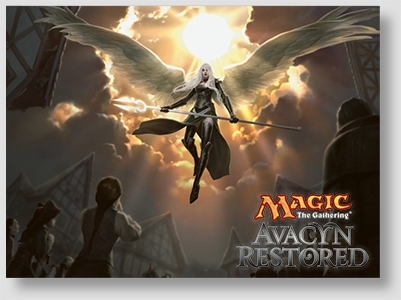 This Saturday 5-5-12 at 2:00 PM at the Hobby Horse in Taylorville there is a Avacyn Restored sealed deck. 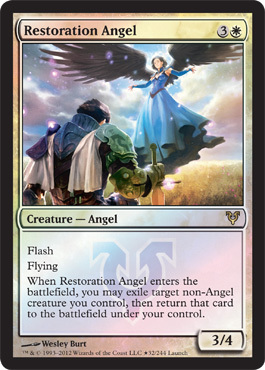 Entry is $25 and you get 6 Avacyn Restored boosters for your sealed pool and 2 foil cards while supplies last. 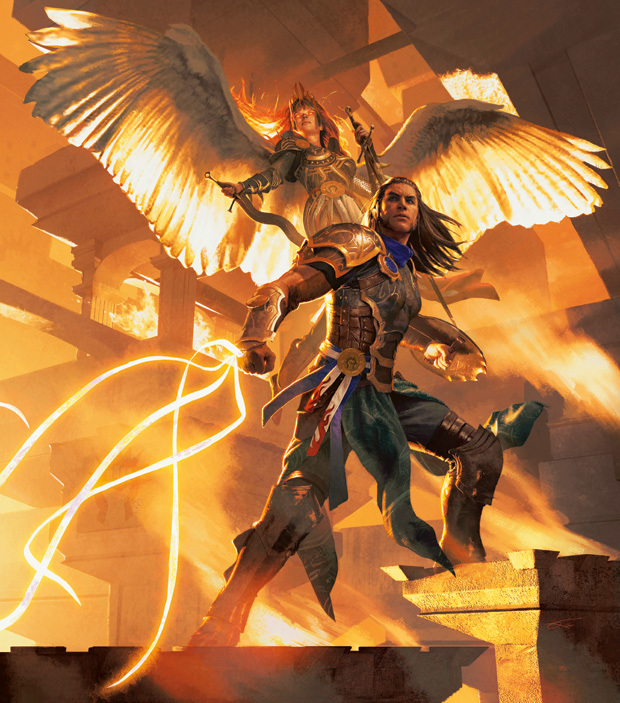 AVACYN RESTORED PRERELEASE SATURDAY APRIL 28TH AT THE HOBBY HORSE IN TAYLORVILLE. START TIME IS 11:00 AM AND THE FORMAT IS SEALED DECK WITH ENTRY FEE OF $25. EXTRA PRIZES TO BE GIVEN OUT FROM THE HELVAULT! Legacy tournament at the Hobby Horse on Saturday 4-21-12 start time is 2:00 PM. First place is a playset of Tundra's and second place is two Force of Will. Legacy tournament on Saturday 3-31-12 at the Hobby Horse in Taylorville. Start time is 2:00 PM first place is a playset of Underground Sea and second place is 1 Tundra. Saint Patty's Day mono green draft on Saturday 3-17 at the Hobby Horse in Taylorville. Start time is 2:00 PM and entry fee is $15. First place is a Unlimited Mox Emerald! GRAB BAG DRAFT THIS SATURDAY 11AM AT THE HOBBY HORSE IN TAYLORVILLE. FIRST PLACE BOOSTER PACKS AND MORE! Launch Party this weekend. Some happening Thursday at midnight. Check out the local Tournaments link for additional times and locations. Pre-Releases happen all over and at varying times. If you are interested in attending one, check out the Local Tournaments section and find a store near you! Pre-Release has come and gone. The release event is almost here! 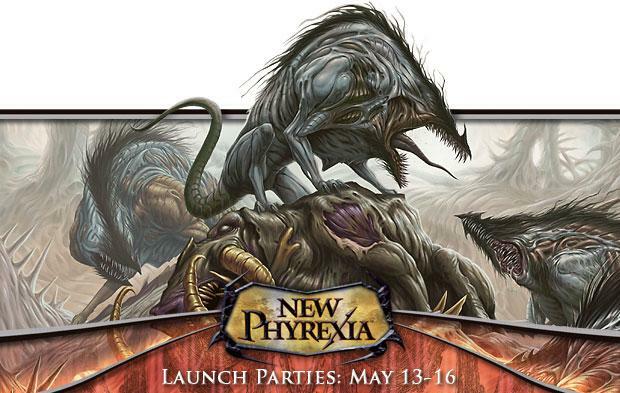 Get to a store and play some Magic with the newest set, New Phyrexia. Videos for New Phyrexia are up in the Video Corner, so check those out if you have a couple of minutes. This Saturday the 30th at the Hobby Horse in Taylorville, IL. Grand Prize is a Mox Sapphire with a Booster Box for second and booster packs for 3rd-8th. 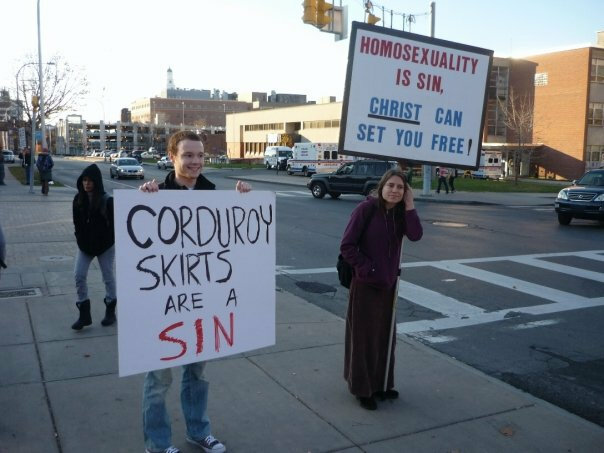 Someone should send me an idea to put on the front page! While out of date things are fun and good and all, I think maybe some more pertinent information might be appreciated. Game Day format is standard. All participants get a Promo Treasure Mage and Top 8 will receive a Full Frame Black Sun Zenith. Check out more info on the Wizards Site and Good Luck to all players. Don't know if anyone is planning on going out to Denver, so here are the details! 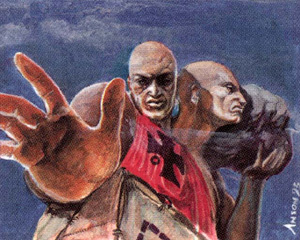 This weekend will feature the main event itself – an anyone-can-enter Mirrodin Beseiged/Scars of Mirrodin Sealed Deck tournament on Saturday, followed by a cut for the top finishers to Booster Draft on Sunday! Cash prizes pay down to 64th place, with the top sixteen competitors qualify for Pro Tour: Nagoya! Pre-Release is this weekend! Go to a store and play some Magic. Will you be Mirran? Will you be Phyrexian? Hopefully they are balanced, but word on the street is one faction only needs to deal 10 damage while the other has to deal 20. Seems unfair! Hello all, I have adjusted the manner in which I buy cards. You can check that out in the Buylist Link. 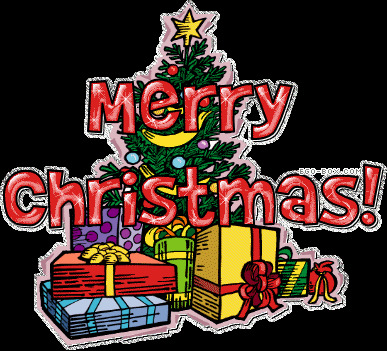 Other than that, hope everyone has a great Christmas and doesn't get to many sweaters from aunt Nancy. So, I wrote an article about my time at Grand Prix Nashville. Nothing spectacular, I didn't get second or anything like Zack, but I did Day 2, so that is something to be proud of I guess! Check it out if you'd like, but be advised it is a lengthy 16 round report! I hope everyone has a great Thanksgiving with plenty to eat and plenty of football to watch! Also here is a feed of the Finals Match. Check it out and take notes! And again, congrats Zack on placing in the top two and good luck in Richmond. Ok, I have two rather big updates (for me!). I have addded a trading system where you will be able to list cards you have for trade, and cards that you also want. You can add cards to these lists in "My Account." Also, to help facilitate easy trading without clogging the message board, I have added a personal messaging system so you can post a message to a specific individual. Right now, you can P.M. from the Trading section and you can also initiate a P.M. from the account details page which you can find by clicking on someone's name. As Always, If you have any ideas and suggestions that will help make this better, or add better functionality please do not hesitate to shoot me an e-mail, or post on the message boards. Thanks, and hope you all enjoy!